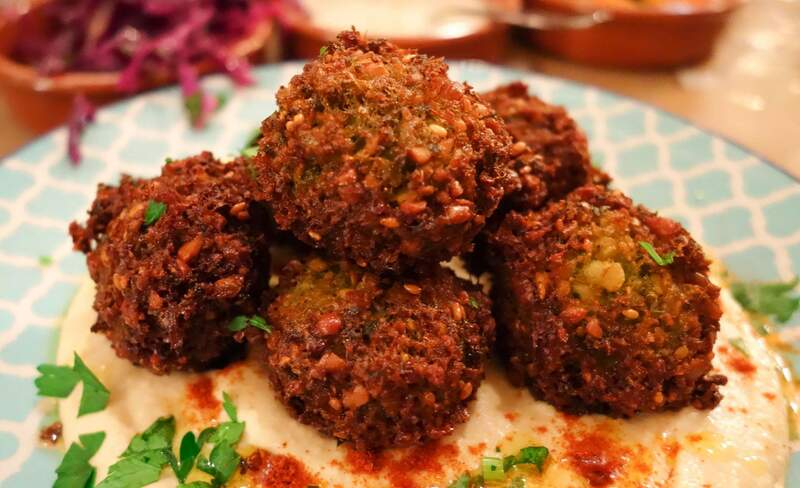 We love trying new and diverse food and were excited to take a food tour of the spice trail, run by Taste Tours. The tour called from Afghanistan to Persia, but we only had to venture to Merrylands for this experience. This tour so grand that we will review it in two parts, for readability. The Taste Tours is a social enterprise, teaching cultural awareness about different nationalities, cultures and foods. The profits of the tours go to training immigrants and refugees. In general, you only gear negatives about Afghanistan and Persia, the same could be said for Merrylands. 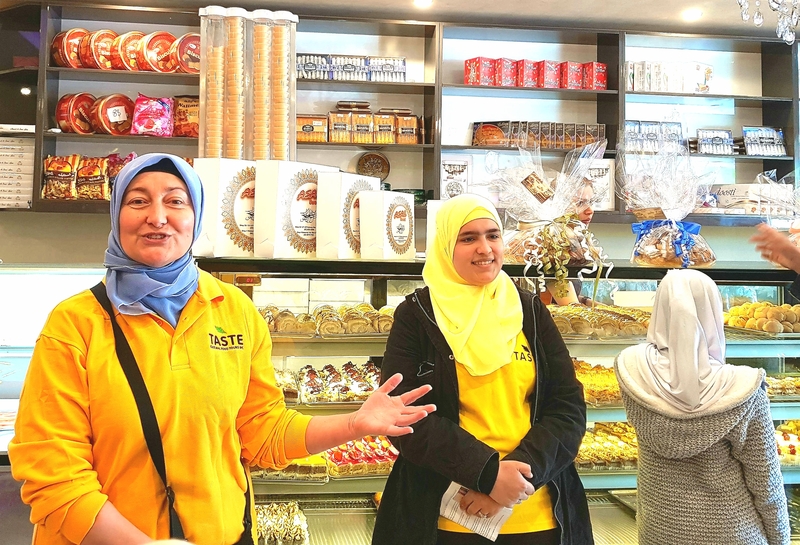 Taste Tours are showing a different perspective, reflecting positivity in western Sydney, showcasing the rich culture and diversity of Merrylands and allowing us to experience the warm generous nature of the people and their cultures. Our meeting point was Asal Sweets, where we met our guides for the day. Two amazingly inspiring women who migrated to Australia, both love the area and were very passionate about the food and culture. Latife intelligent, warm and welcoming was born in Turkey, migrated to Australia when she was four. Also very smart with a chemistry degree and a great mentor for our other guide Parastoo, who was running her first tour. Parastoo is driven and wanting to make the best of her life in her new home, Australia. Parastoo came in 2012 as an asylum seeker from Afghanistan and has a scholarship to study at UWS teaching. Her family fled Afghanistan and went to Indonesia and there came to Australia. She absolutely loves living in Merrylands. Starting the tour by acknowledged the traditional owners, the Dharug people was a nice touch. Latife and Parastoo introduced themselves and gave a rundown of what Taste Tours is about and what they do. One thing that resonates from the introduction, Latife described Australia as multicultural the food on this tour is from Persian, Turkish and Afghanis culture, but they see it as Australian food as those cultures are now part of Australia. 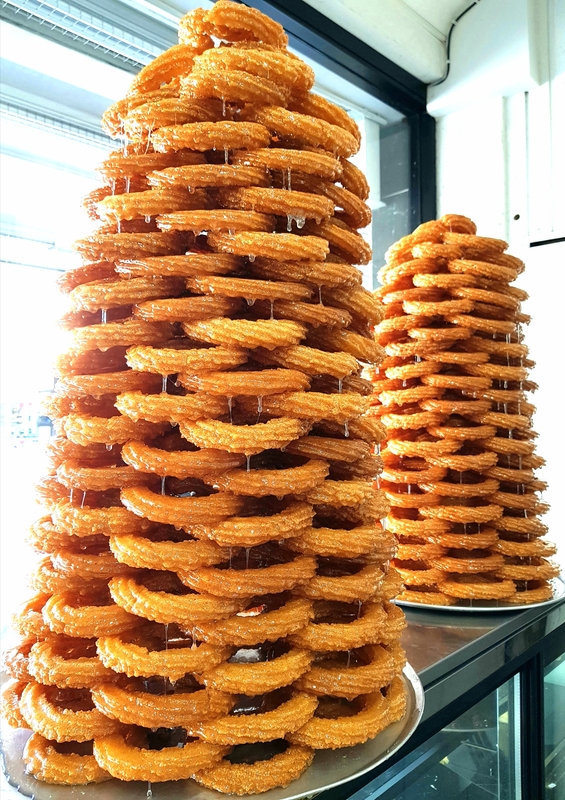 Remember we were in Asal sweets a Persian patisserie, surrounded by a plethora of delectable cakes and pastriw. We were offed some biscuits to start, with differing flavours including cocounut, rosewater, saffron. The texture was most impressive a crunchy outer layer with a soft chewy centre. We would later return after the tour to purchase some goodies to take home. 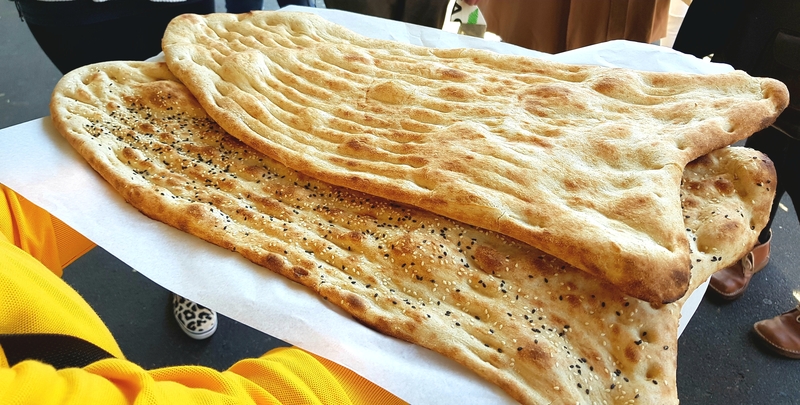 Next we were whisked around the corner to the Green Wheat Bakery where they were pumping out Afghan bread from a tandoor oven, check out the video below. Our guide for the day, Parastoo explaining that making this bread was the source of her family income while they lived in Indonesia. 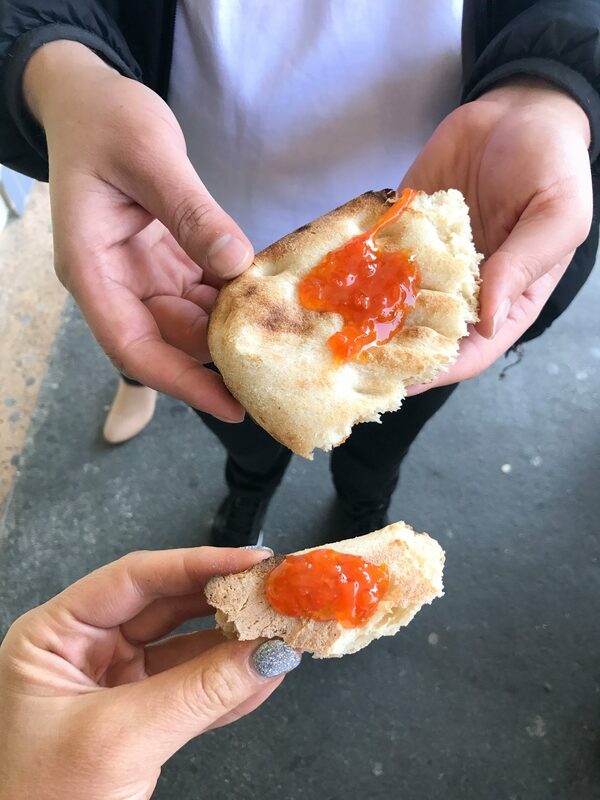 We were also introduced to a jam, something tasty and new, a carrot jam, a nice spread for bread freshly made. What a start to our tour. Next a stop into a Persian supermarket, where we tried some sweets and explored. We followed this by visitingBiber diner, well known in merrylands for thdid kebabs, pide, pizza. The owners origially from Adana southern Turkey. 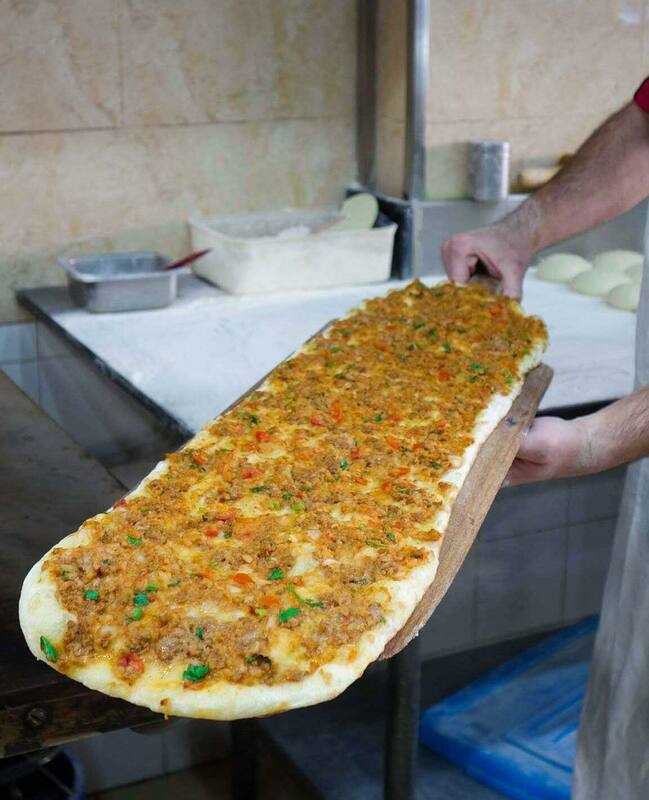 Sampling a specialty dish, the freshly made kiymali pide (pizza) made from mince, tomato, onion, parsley, herbs and spices. The cheese and spinach pide also made as we wait, both were quality. A short walk away we came to a hole in the wall Afghan BBQ called kebab Al Hojat. With a super red hot coal BBQ firing away. This high heat BBQ taking 7 minutes to cook 50 skewers. 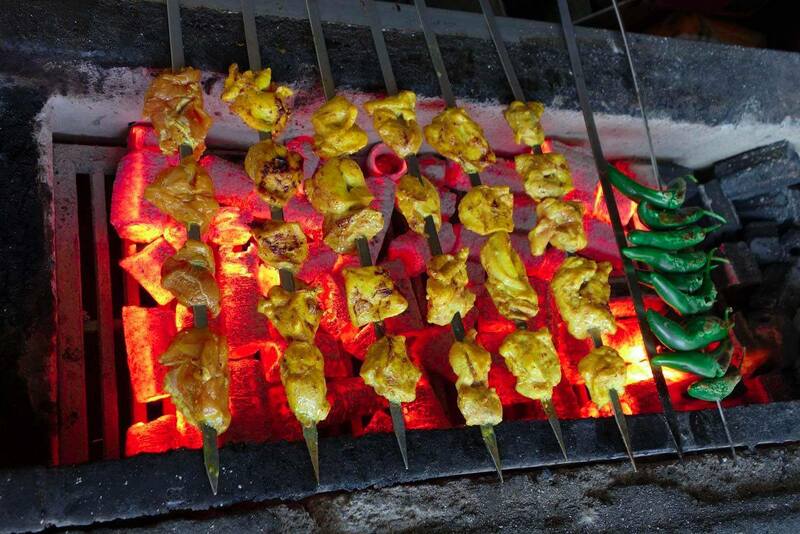 Pick the type of marinated, skewered meat you desire. The meat tender and flavoursome, after marinating for 12 hours, in 7 types of spices. This is BBQ’d wrapped in Afghani bread and served with fresh salad. This was one of many highlights and at $6 a pop, amazing value. We finish part 1 of the post here, keep an eye out for part 2 and the rest of this food adventure. Thanks to Ompty media for introducing us and to Taste tours for inviting us to join them on this tour. Hoochie Mamma café has an interesting name. The urban dictionary states a Hoochie Mamma is: a female who dressed ghetto fabulous. Whilst there were none of these characters at the café, the cafe is certainly fabulous, as were the staff. Sparky was our waiter, he was instantly charismatic and provided plenty of flair. He totally made our visit, being extremely accommodating and providing humor to our morning visit. 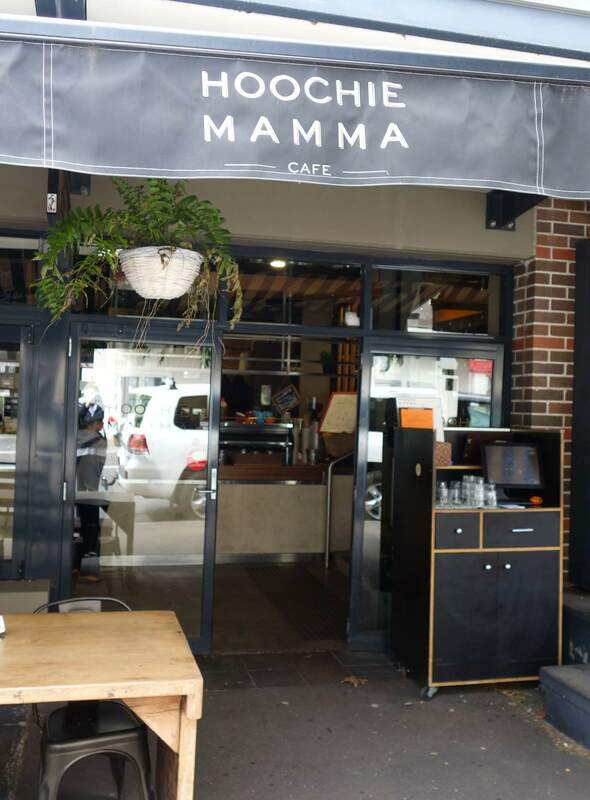 Hoochie Mamma is in close vicinity to the Sydney University Colleges, as well as RPA hospital on Missenden Road, just off King Street Newtown. The cafe really caters to everyone. It also has children’s seats and toys and therefore suitable to families too. 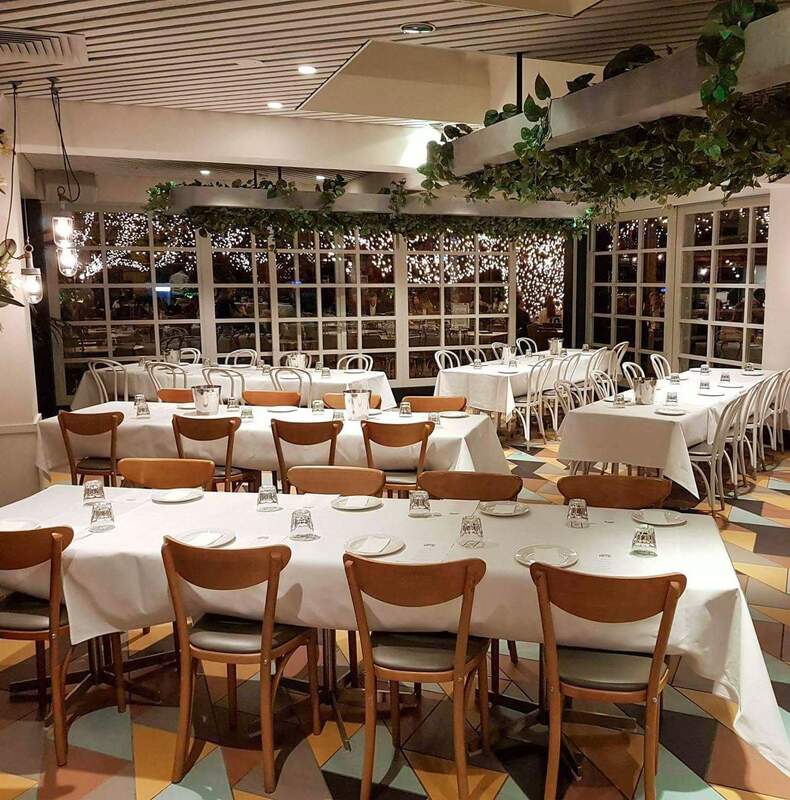 The space is huge, and comfortable with a good amount of outdoor seating and heaters to provide you warmth in the cold. 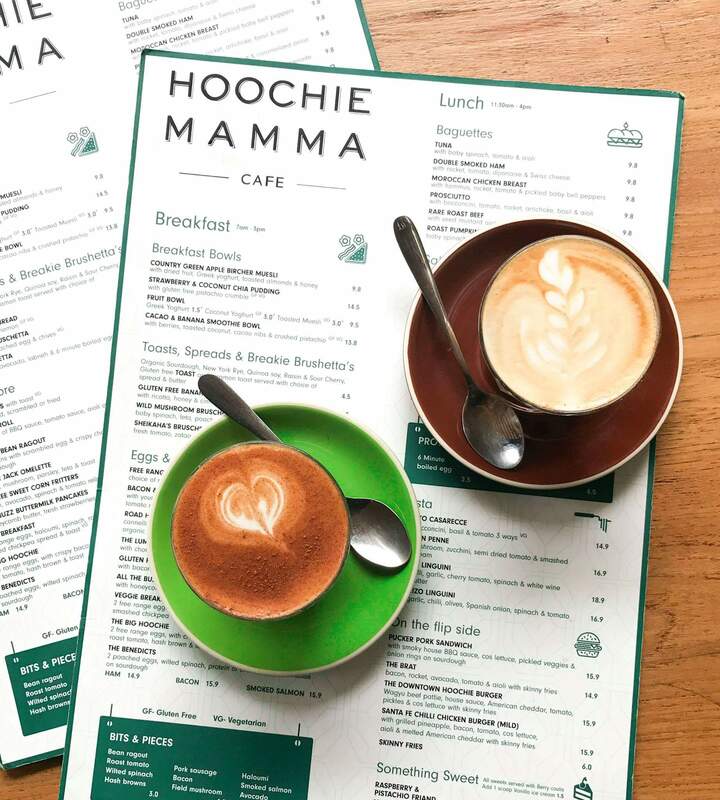 Hoochie Mamma is licensed venue and has you covered if you are after something more than a coffee. 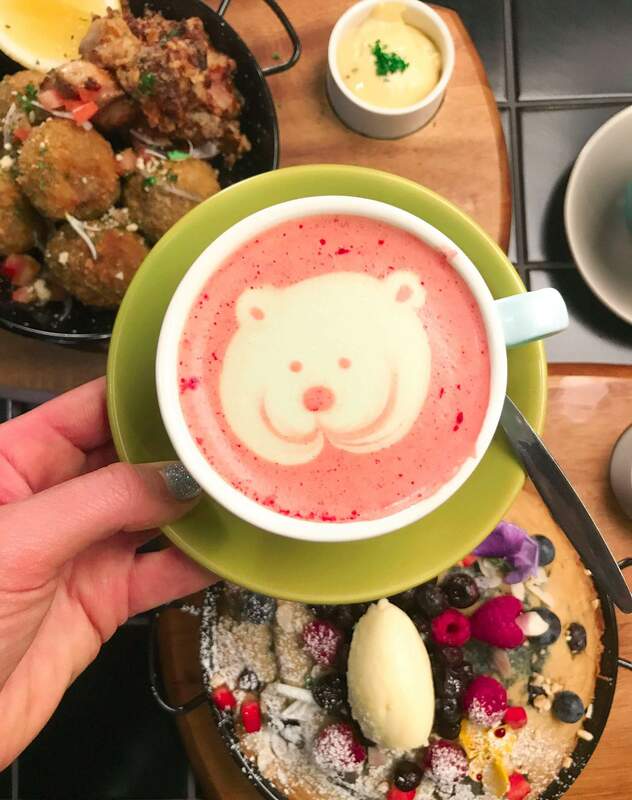 They do a good coffee, by little marionette, as well as a range of other drinks including, tea, juice, thick shakes and some great smoothies. 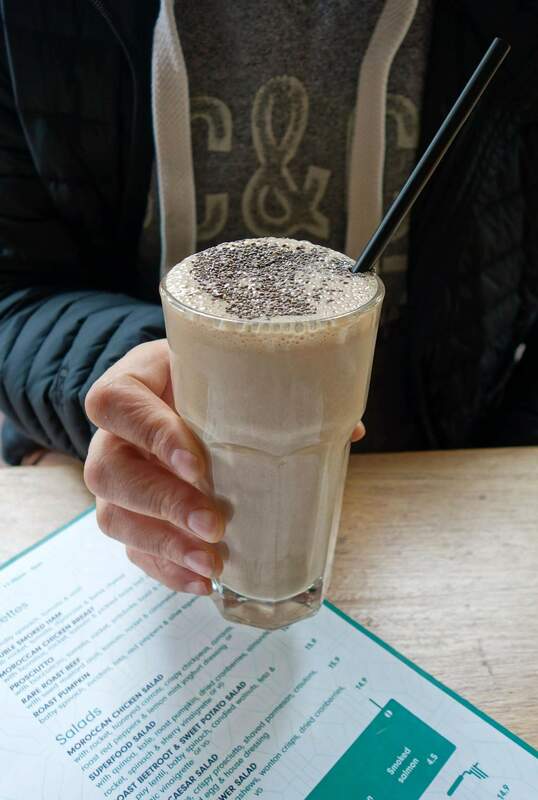 A favourite was the chunky munky, a tasty choc banana smoothie with chia and honey. 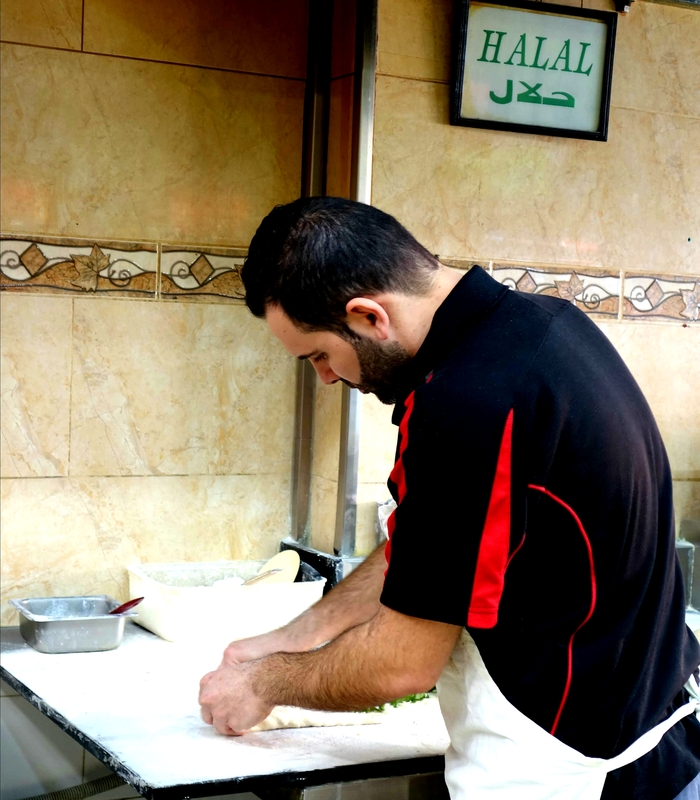 The menu is as diverse as the crowd in the area, with something for everyone, whether it be breakfast or lunch. 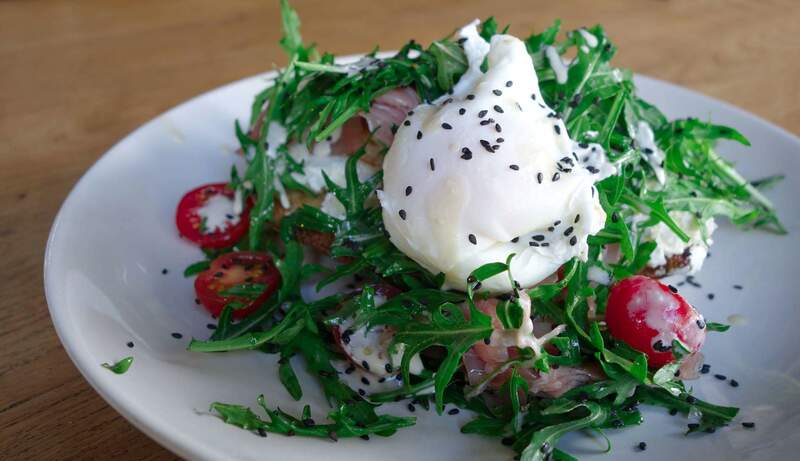 Visiting for breakfast, it was hard to go past the special of the day, the poached eggs – with marinated feta, rocket served on sourdough, a healthy yet flavoursome start to the day. For something at the other end of the spectrum,we decided upon something sweet, the pancakes. 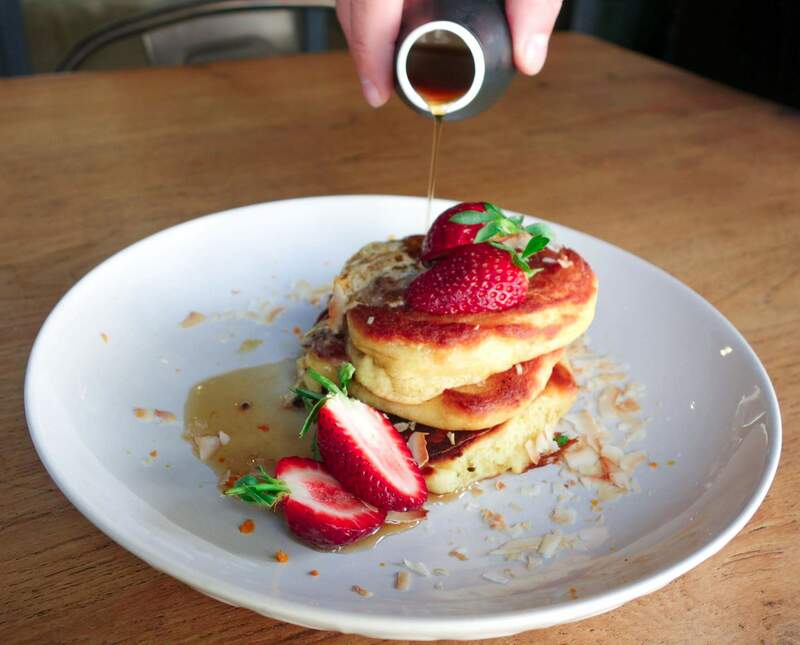 These were light and fluffy, a homecooked rustic style pancake, nicely presented with honeycomb butter, orange rind, a strawberry on top and a side of maple syrup. These pancakes were delicious and there is something very satisfying about drizzling maple syrup over a stack of pancakes, it may be a sense of nostalgia or conjured from childhood memories. 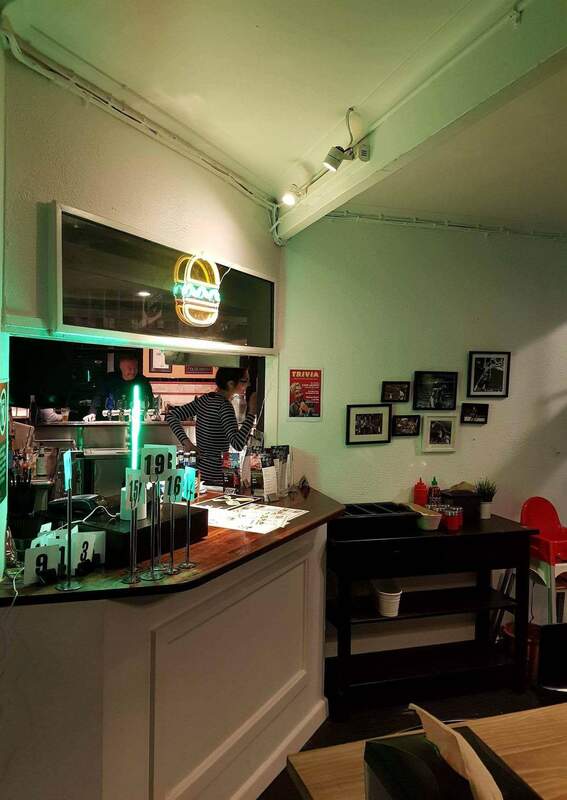 A great café with friendly staff and perfect for any crowd. The prices are not too expensive, they serve large portions with a range of food to suit all. @Burgers Anonymous, I have a problem! I have to confess, I have a problem…. I have a weakness, I love a good burger, it is insatiable, I cannot resist. 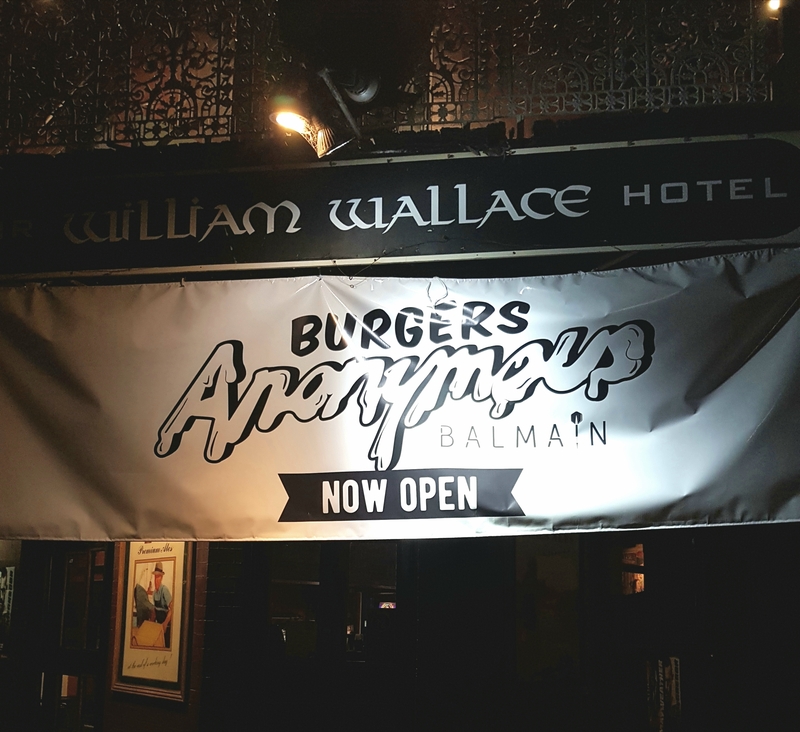 To get my fix, I visited Burgers Anonymous who have just opened their second establishment, which is located in Balmain. 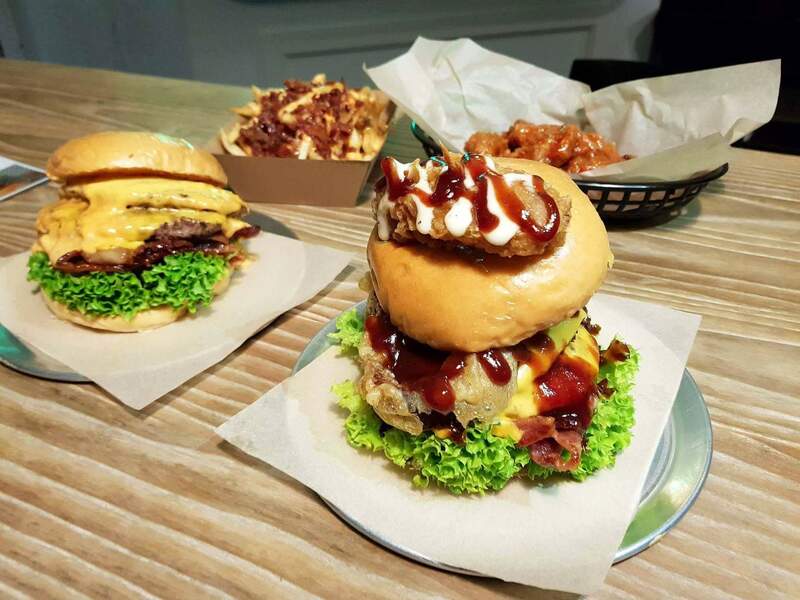 They do make a great burger and it is worth hunting one down. Like its name sake, the location could be proclaimed a little anonymous. It can be found inside the William Wallace Hotel in the back streets of Balmain. 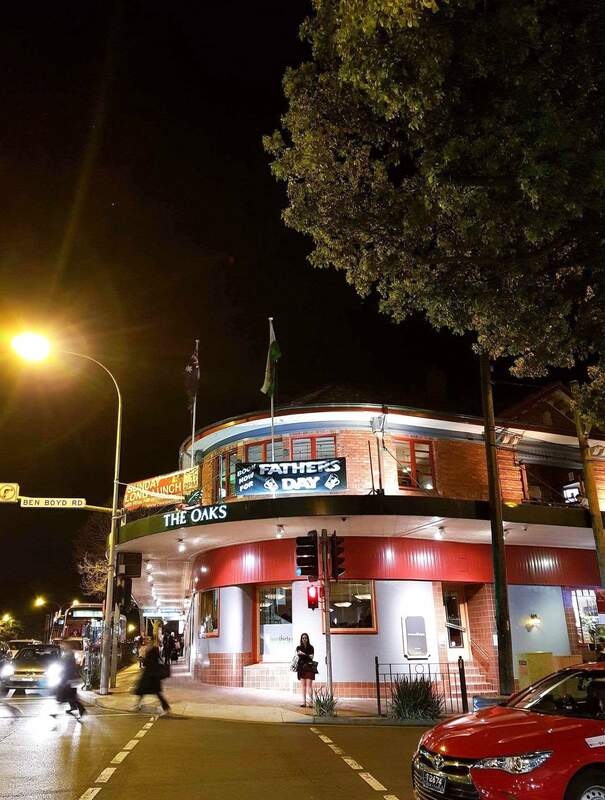 The pub where Burgers Anonymous is set up is an old school pub with the bar at the centre and a couple of pokies. It entertains the regulars with a few bar flies. The staff are friendly, pointing us in the right direction to the food counter situated in the back part of the pub. In contrast to the pub, Burgers Anonymous is newly set up with plenty of seating, with some neon lights and some electronic dart boards thrown in to light up the atmosphere. 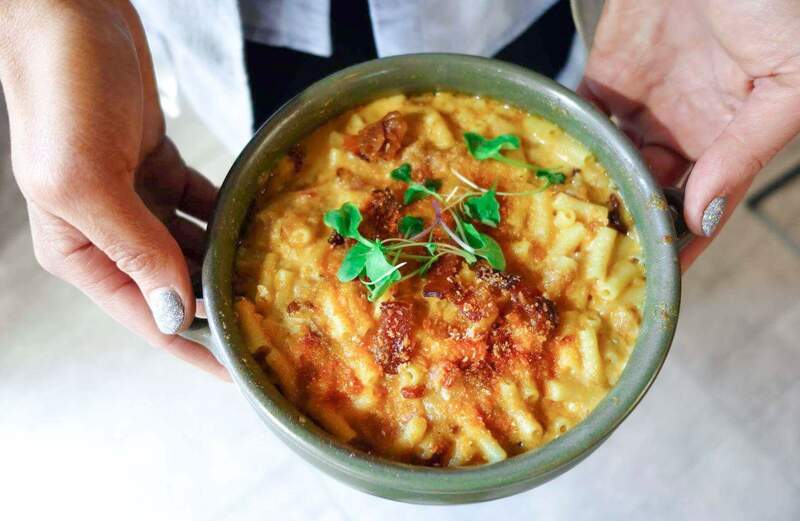 Pull up a stump, grab a beer and get ready to chow down. It’s recommended to grab some starters. The loaded fries are insane and the onion rings and wings cannot be missed. We loved the maple glazed hot wings, the glaze on top of a crisp batter which gave a loud crunch as you bit in. We could have dined all night on these bad boys. We were visiting a burger joint, so could not pass on a couple of burgers. With use of quality ground sirloin beef, making these burgers extra special. I was dining with one of our instafoodie mates Where_do_I_eat_pete, who ordered the Heisenburger. This burger double beef and cheese with lettuce, tomato, onion, crack bacon and B.A sauce, has now put Burgers Anonymous on Pete’s return list. I was eyeing off the Chuck Norris XXL, being in the William Wallace Hotel, I summoned some Braveheart courage to conquer this beast of a burger. 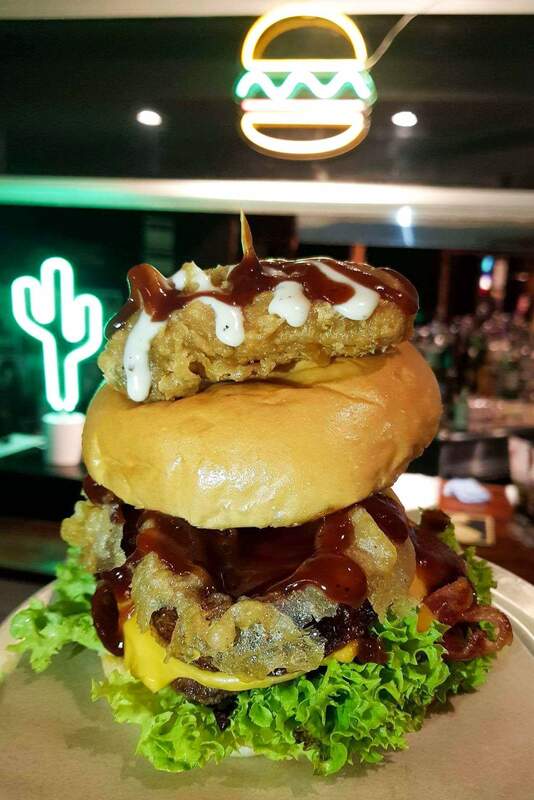 A delicious tower including double beef, double cheese, crack bacon, the crispy onion rings, lettuce and a delicious sticky hickory BBQ sauce, not done yet! This burger was topped with a ranch BBQ wing. I needed a plan of attack, nah not really. I just ripped in and damn this burger was tasty. During this battle, things got a little messy, half a box of napkins messy. A great burger, but bring your appetite and your A game. A little out of the way, but worth the effort. 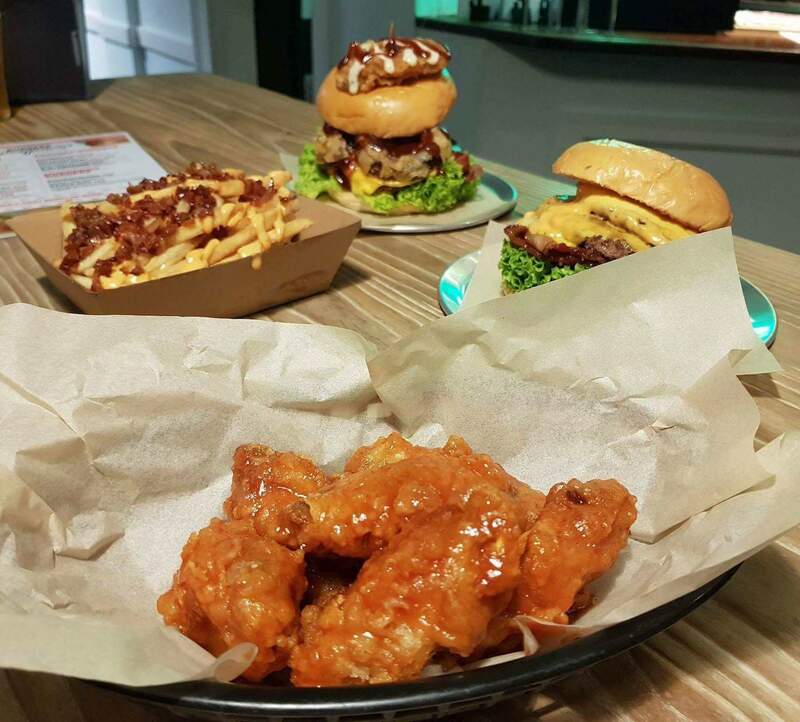 Great burgers, wings and beer on tap. What more does one want? Thanks to Burgers Anonymous for the invite. Chatswood is not short of places to eat. Mixed amongst the large shopping centres are a wide range of restaurants, food courts and coffee shops. However, there was nothing like Café Eskimo in the area. Café Eskimo is a large café serving a huge range of drinks and brunch options, plated with restaurant style presentation. 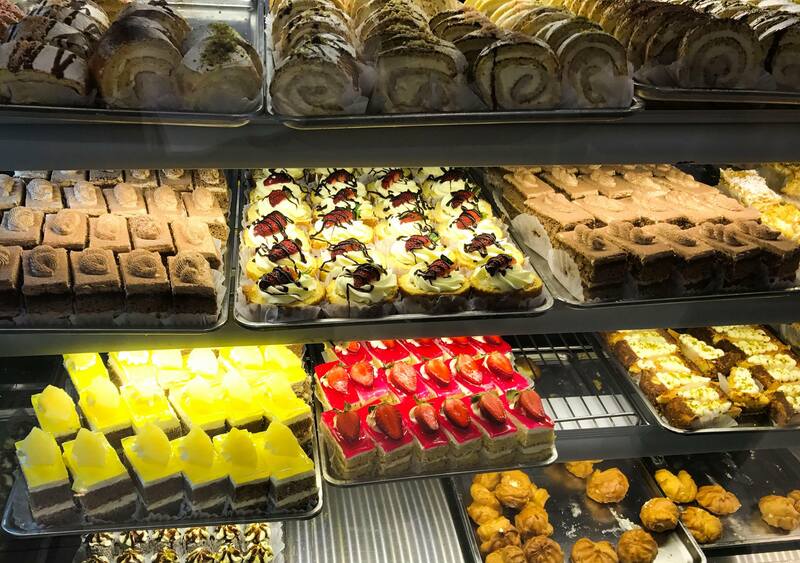 If you’ve had busy shopping day, and just need a snack to refresh that energy, you could grab a coffee and cake, as there are a huge range of beautiful patisserie cakes. Drink wise, there are colourful smoothies, juices, coffee and specialty teas. 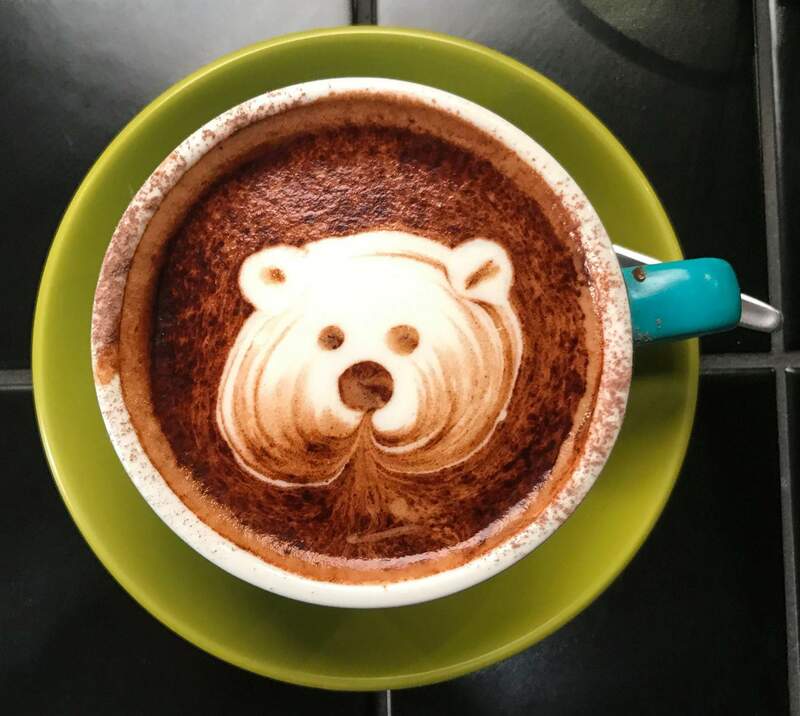 Staff are on point with their latte art, evident by my “beary” cute cappuccino. 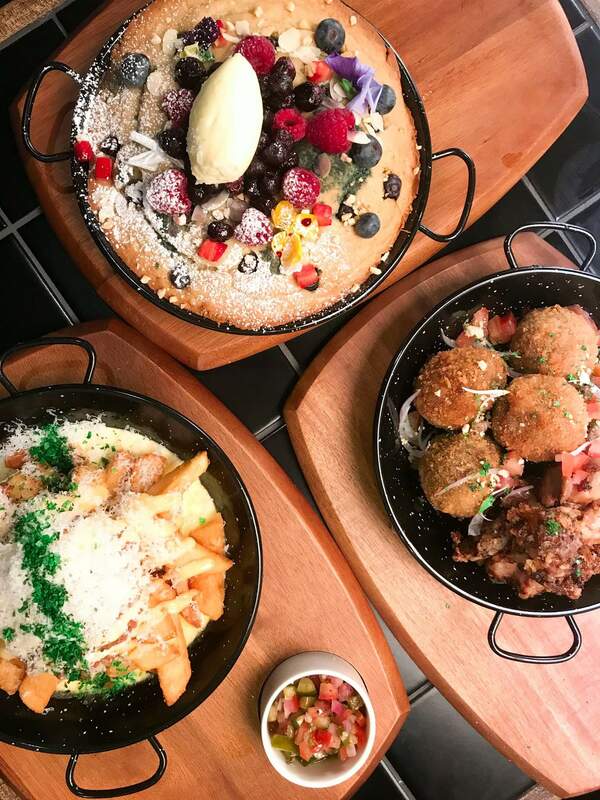 Café Eskimo serves some amazing sweet breakfast options like the French toast, and an amazingly fluffy pancakes topped with berries and a side of syrup to add as you please. 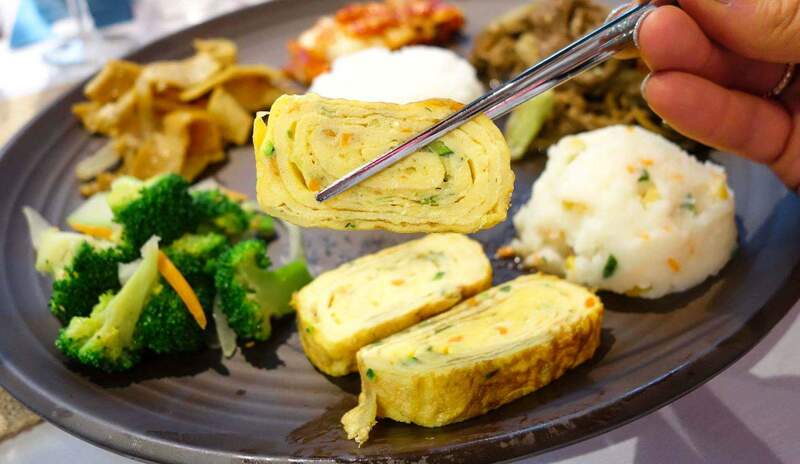 They also have savoury breakfast choices like the breakfast pan. If you’re more in the mood for lunch, no stress, there are plenty of lunch options to choose from too. We almost tried everything. 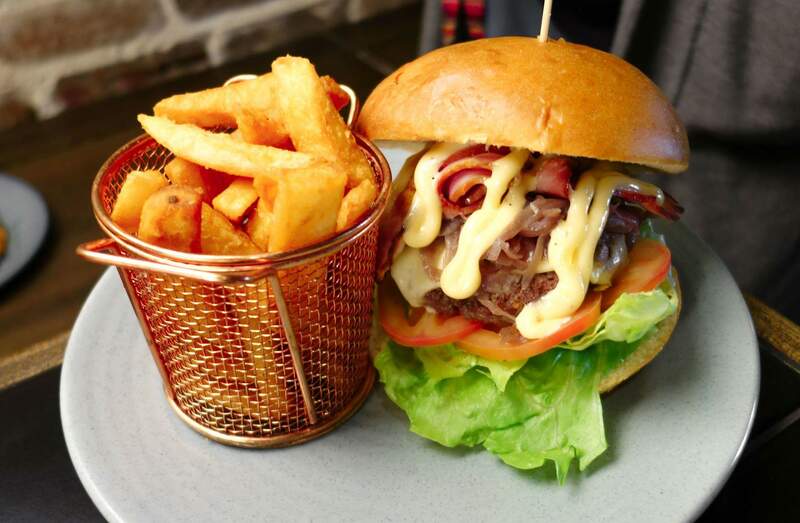 They have a traditional beef burger as well as a pulled pork burger, on brioche buns and they come with a side of crispy chips. For some heathier options there is a grilled chicken salad and a balsamic flavoured pasta with rockert. One of the best dishes that kept you going in for more, was the plate of chips covered in chilli meat and melted cheese. They also have bolognaise, carbonara pasta with a side of garlic bread for a heartier meal. Cafè Eskimo is perfect for breakfast, brunch or lunch, take your friends and enjoy! Market City is a shopping destination situated in Haymarket, above Paddy’s Markets. With over 100 retail outlets, it offers a great shopping and dining experience. 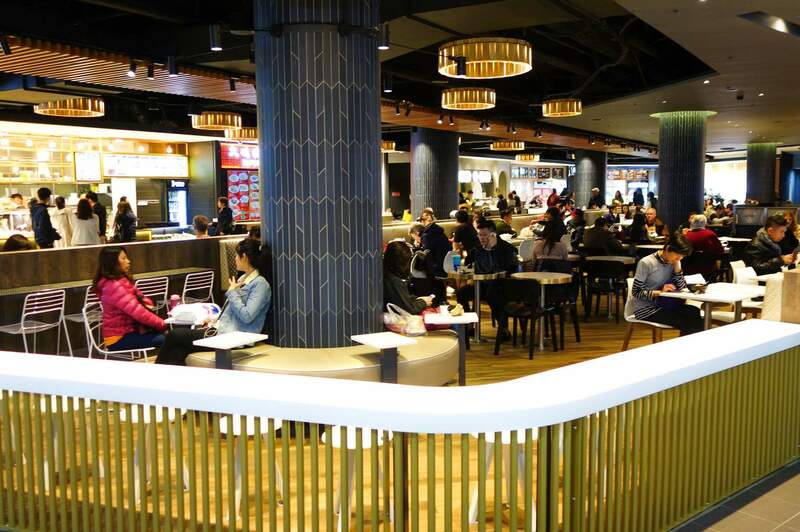 Market City has recently announced the opening of their new level 1 food court, to cater to hungry shoppers and visitors looking for a tasty bite to eat. We attended the opening ceremony, which included a traditional Chinese Lion Dance performed by Jin Wu Koon (Sydney’s dragon and lion dance association). This in itself was very impressive. The Lion dance was offering new vendors prosperity and good luck, which was a nice touch. The performance was very entertaining with the band and lions said to scare away any unwelcome spirits. The new food court is also impressive and has a stylish fit out, with plenty of seating, tables, benches and cushioned seats with personal tables, providing solace, a place to rest and enjoy a meal. Market City has gone above and beyond to look after all visiting diners and even installed a number of power and USB outlets for you to charge your phone or other electrical devices. Jorjarn serving up tasty Thai food and sweet drinks on the cheap. 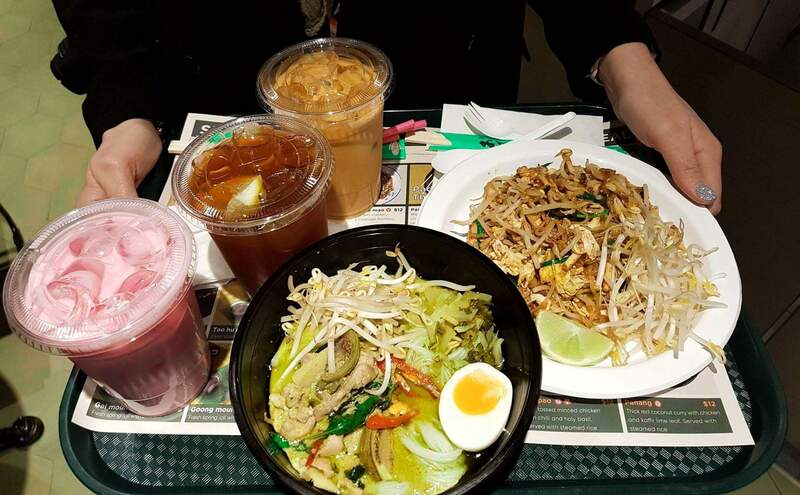 Plenty of great flavours on offer including their delicious Pad Thai, and the green curry is a must. 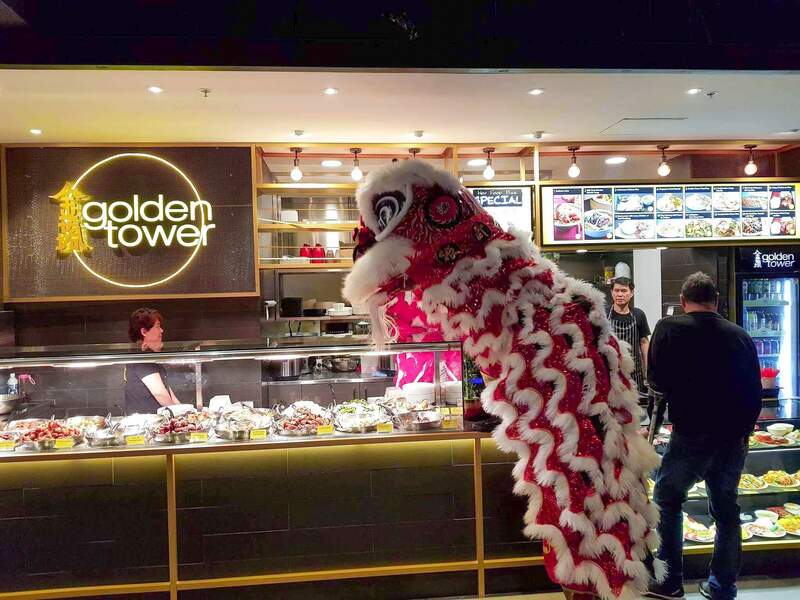 Golden Tower Chinese/Malaysian is great value with a hot bar, mix and match or pick one of your favourites; maybe a Char Kway Teo. 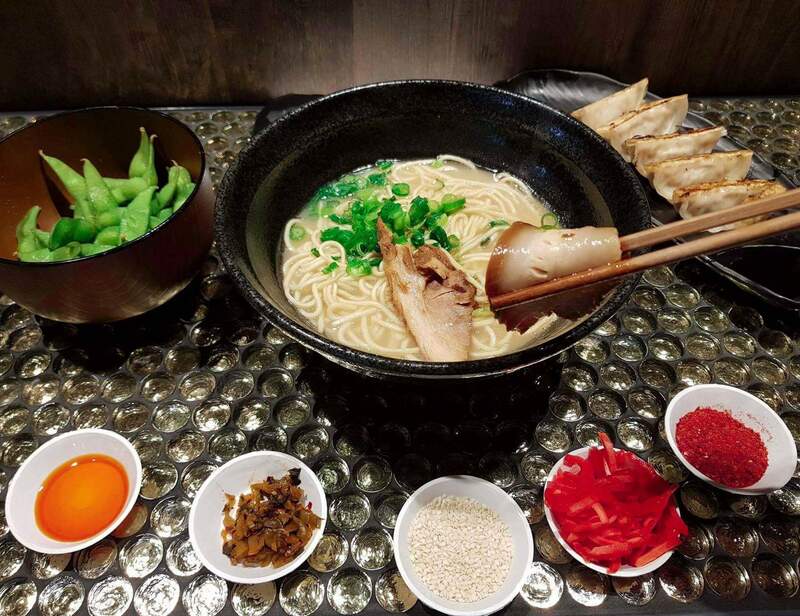 Kaedama Japanese Ramen Bar is a must, with their bone broth boiling away for hours. Don’t forget to order Gyoza. Try Lao Dong for some Taiwanese beef noodles. 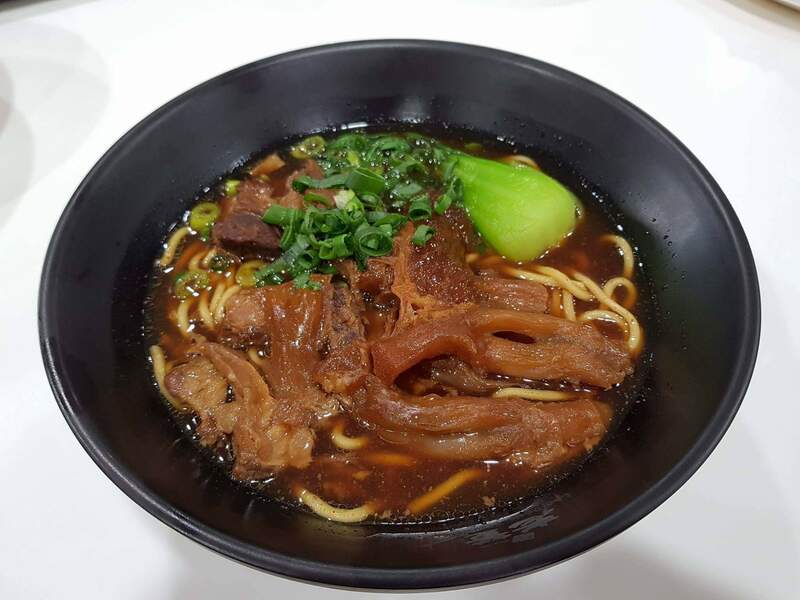 Their signature braised beef noodles are so flavoursome. 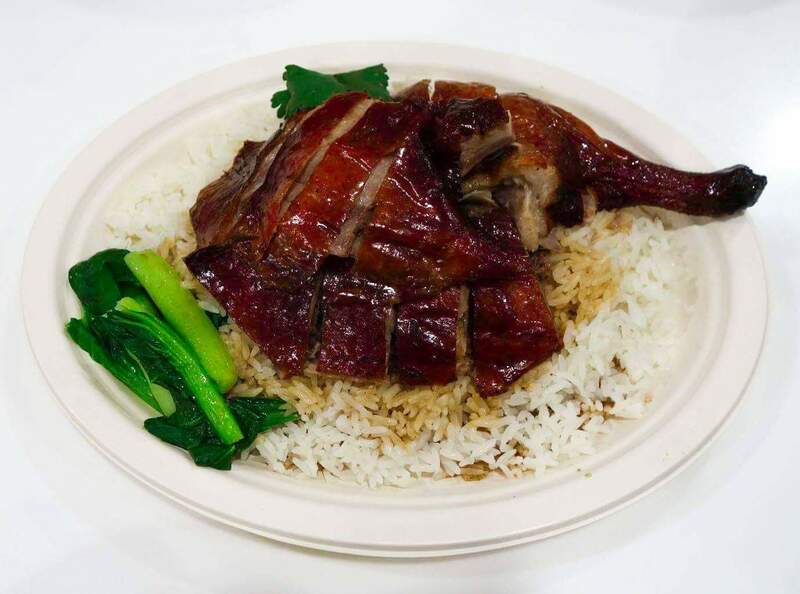 Super Chef offers irresistible succulent BBQ pork, with the crispy duck on display, tantalising your tastebuds. 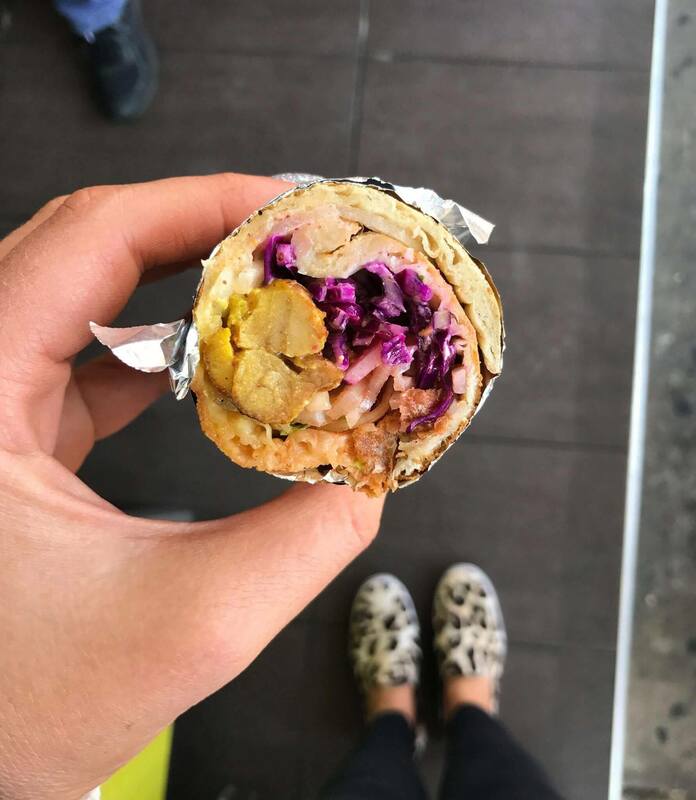 Sushi Ko is perfect for a quick bite to eat, grab and go. 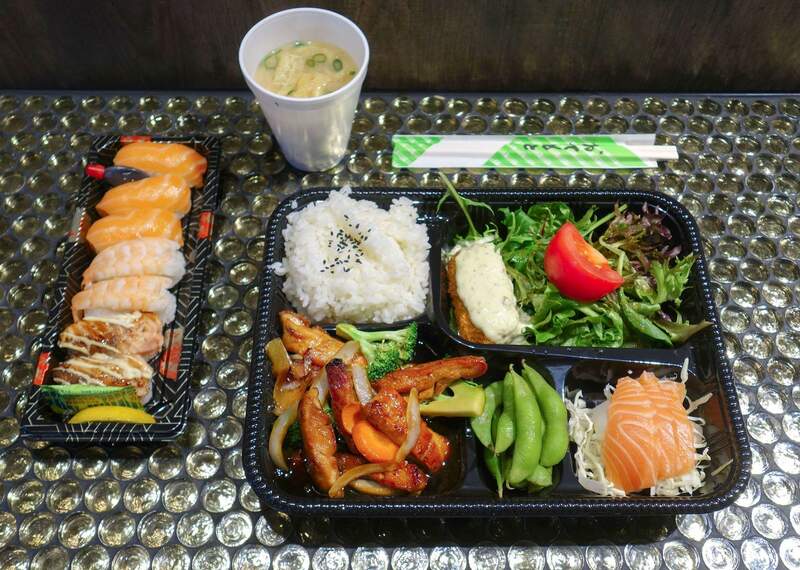 Be tempted by their fresh sushi, nigri or sashimi or maybe a bento box, providing a combination of choices. At Happy Chef, choose from their range of delicious soups. 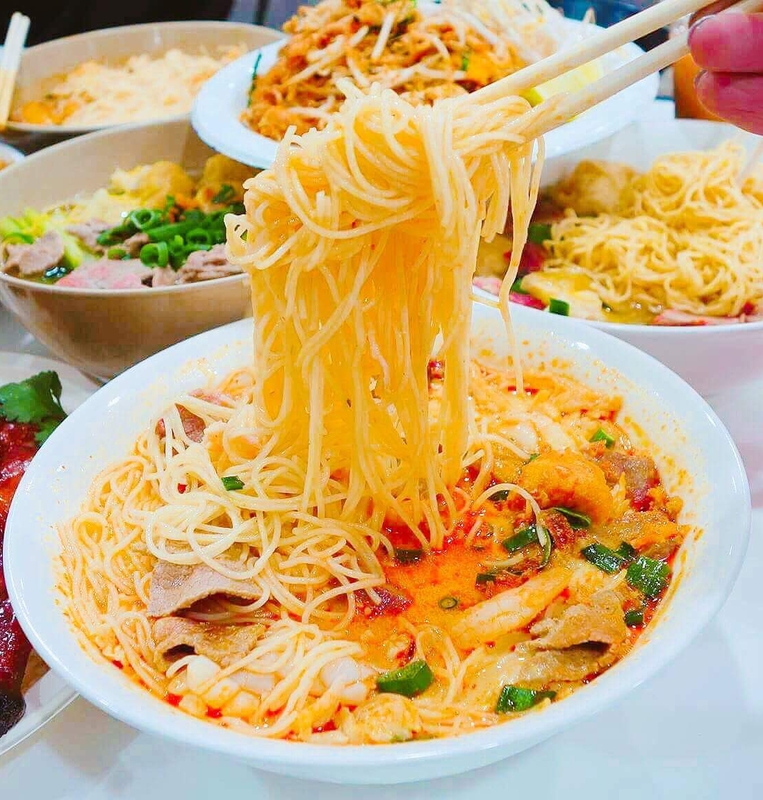 First, choose your soup, then the type noodles you want. 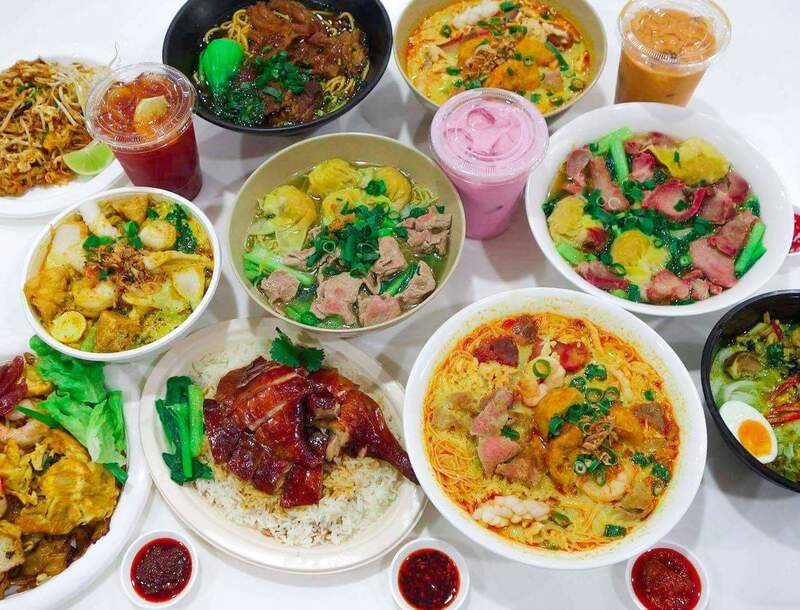 They have big portions of some old favourites including wonton noodle soup or Laksa’s. 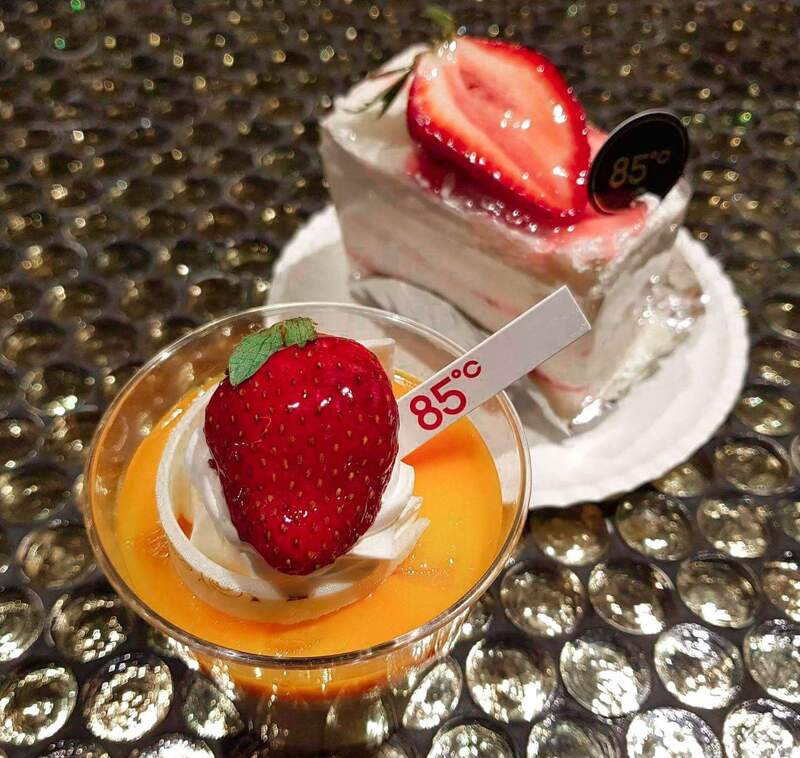 85 Degrees Cafe is great for a coffee, they have a tasty range of baked goods and cakes. Grab a tray and load up with a bit of everything. Market City is a great food court with lots of variety. Enjoy a well priced, tasty meal in stylish and comfortable surrounds. Perfect to refuel while you shop. Thankyou to market city for the invitation. 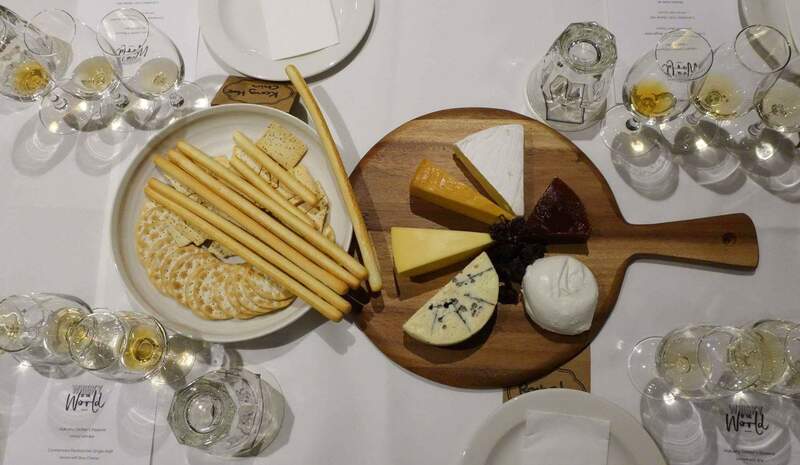 We returned to one of our favourite Sydney venues: The Oaks for an event called ‘whisky of the world. 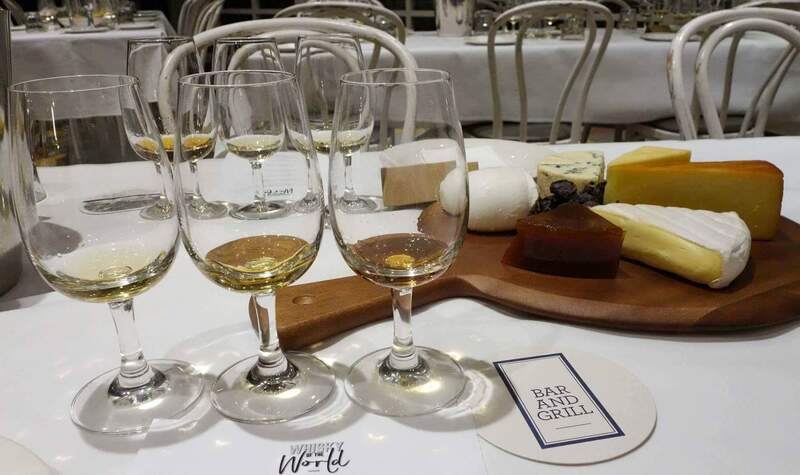 This event combined two of our favourite things, whisky and cheese. 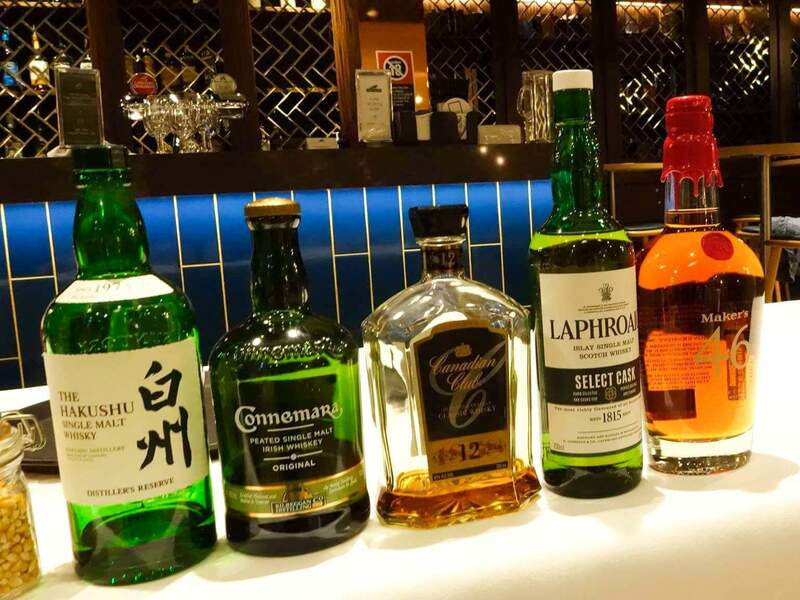 It was another well run event by Amy along with the staff of The Oaks and was hosted by Suntory, Beam, CCA Brand ambassador Michael Nouri. After attending this event I can see why Michael is a brand ambassador for the aforementioned brands. Michael is very passionate and showed great knowledge of the brands, families and products he represents. 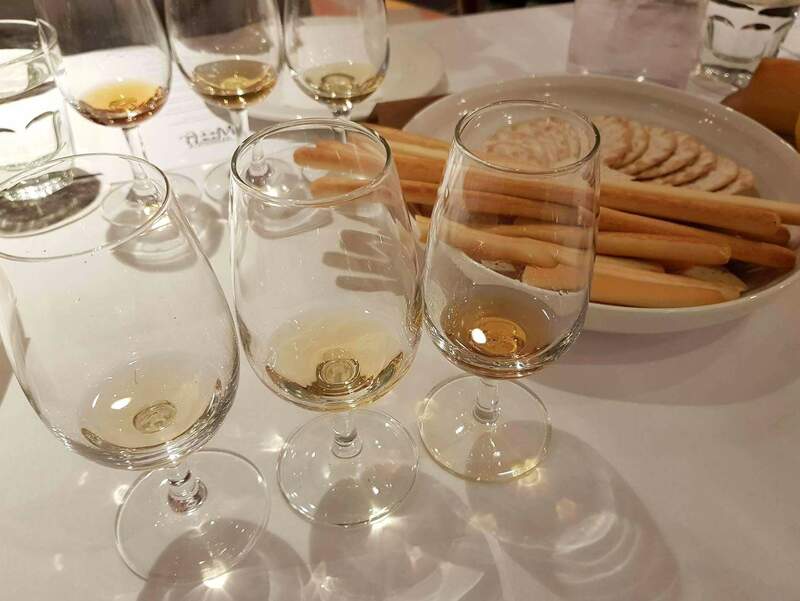 This event was more than just a tasting, it was an education on whisky, its history, how it is made, and how this elixir reflects the regions in which it was produced. Michael also kept it interesting through first hand stories from knowing the families who produce the products being tasted. The Oaks is one of Sydney’s great pubs, with the famous fairy lit oak tree in the heart of the beer garden. There are a number of sections that off shoot that area and it is great to enjoy a drink whilst exploring. It is a drinking spot to suit all. Whether it be a social drink with the masses in the beer garden or garden bar, a quiet beverage and game of pool or intimate sitting in one of the rooms upstairs, it is the perfect venue. There is also a bistro serving great food and the Garden Pavilion can be used for functions and events. The whisky of the world tasting was held in the Garden Pavillion. It was perfect for this type of event, a beautiful space with colourful tiles, a private bar and some greenery. Although situated in the pub, this room feels as though it is anywhere but. The bottles that were to be sampled at the front of the room. 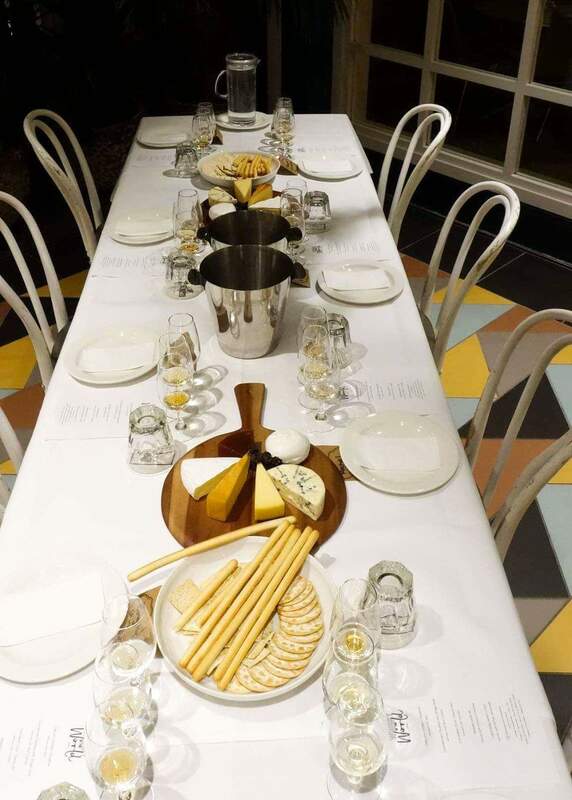 The tables meticulously set with the cheese boards on display along with three pre poured whiskies, all waiting to be sampled. 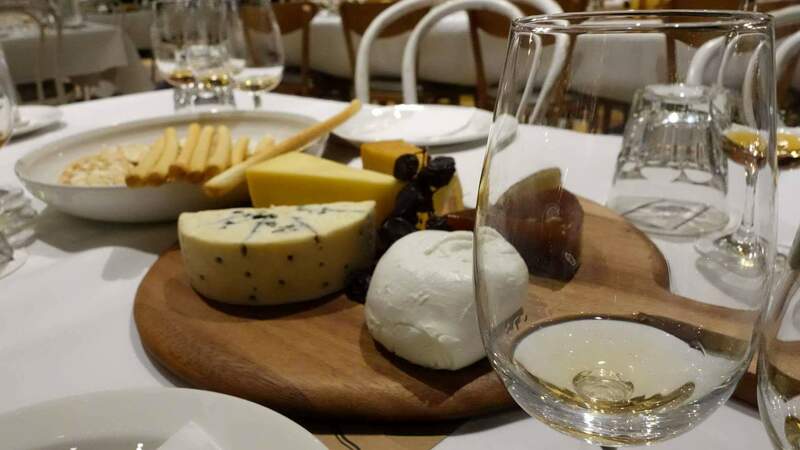 With five differing whiskies from different regions of the world as well as five types of cheese, Muscatels and quince paste, our taste buds were in for a treat. 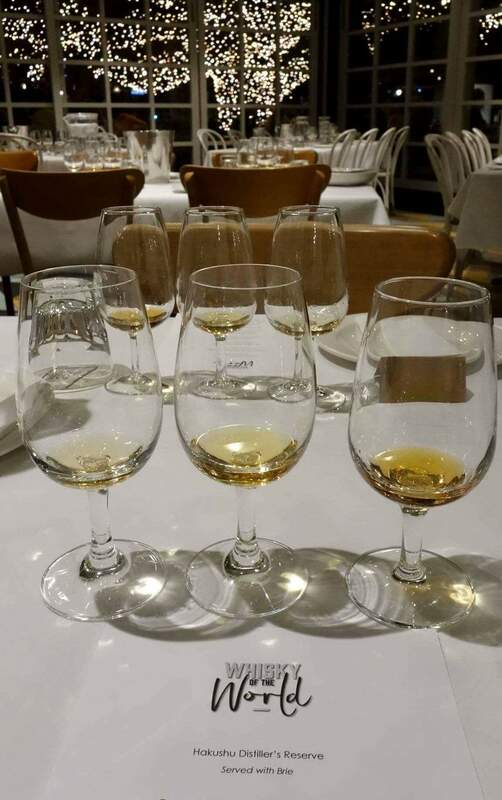 We were educated on how to use our senses to help taste and appreciate the whisky by looking at the whisky and its colour, nosing it to associate smells, feeling it in the palm of your hand and most importantly tasting. 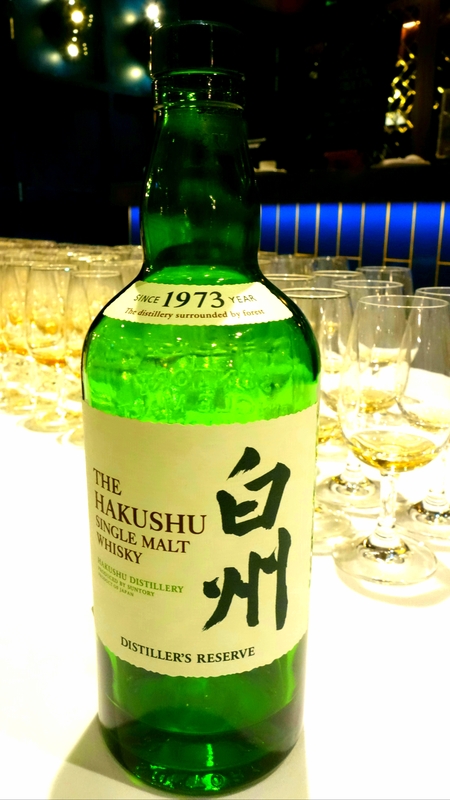 Starting with the Hakushu Distiller’s Reserve, a delicate whisky, from Japan that is a very popular whisky region, so much so, that it can be difficult to even find a bottle to purchase. This delicate light coloured fruity Whisky with a touch of smoke, matching with the contrast of rich creamy brie. 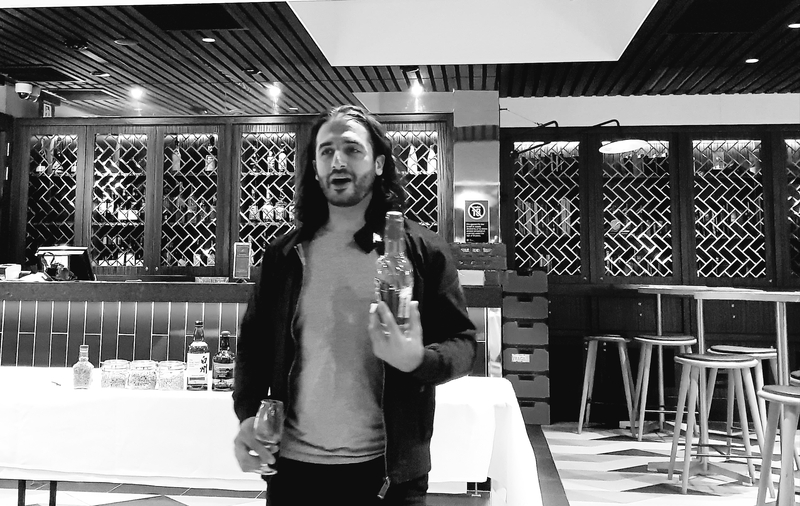 Michael provided a brief history on the origins of whisky in Japan including a Japanese Scottish love story. 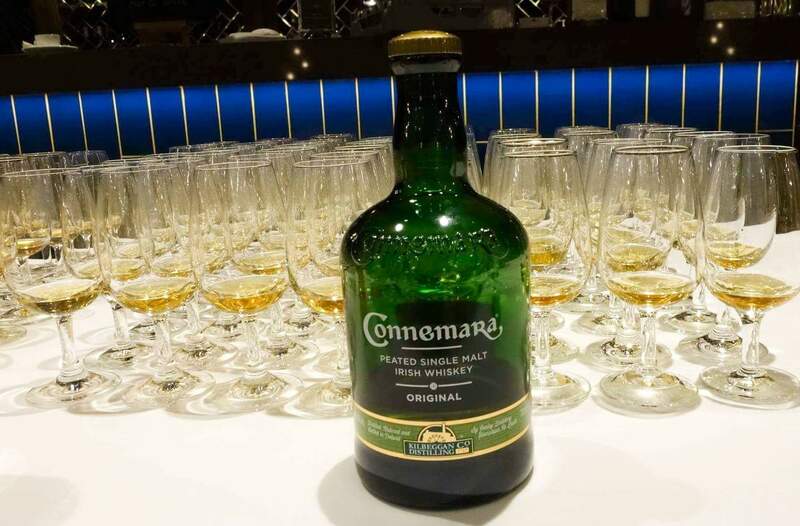 Next was one of the most surprising whiskies: a peated Irish whisky, in fact the only peated Irish Whisky, from Connemara. This golden coloured sweet, smokey whisky matched beautifully with a soft creamy blue cheese. The Canadian Club 12 year age is a statement. A sweet whisky made from corn malt rye and malt barley. With rich a sweet caramel colour and taste, nicely paired with a mild Gouda. Fun fact – this whisky Started in Americain city of Detroit. Walker using foresight moving across the river to Canada and using American political insight to create this successful brand. The move to Canada helped during prohibition, with the brand producing 75% of whisky in America during this period. Up next – From America, a Kentucky Whisky, Makers Mark 46. Referred to as a Bourbon whisky. This was an oak spiced, sweet liquid that was paired with a sharp smoked cheddar. Bourbon is the most regulated of all whisky. Makers Mark is named after the name stamped on the barrel. This whisky is truly a boutique, all processes being carried out by hand including the wax seal on the bottle. Makers is a corn based, wheated bourbon with a Low and slow ferment. They still use the original yeast strain, interestingly the recipe coming about from the baking of bread. Finishing with a bang, on the Laphroiag Select cask. Laphroaig is a polarising whisky, with many either loving or hating it. A potent smokey whisky that uses a iodine style peat that is uniqie to the area and process it by using a wet smoke process. The Select Cask picked by friends of Laphroiag. A bit of history, the White walls of the distillery were a beacon to sailors on their way home. Thanks to Amy for the invitation to the staff at The Oaks for their hospitality and to Michael for hosting a very enjoyable event. It is especially good value at $35 and highly recommended. Keep an eye out for future events through the below link. ​Sydney as a city is very multicultural, to this we are grateful, as this brings variety in culture, cusine and restaurants. Yet, there are only a handful of Moroccan restaurants in Sydney. We were happy to hear from our friends at Ompty media, offering an invite to visit Moroccan Feast. As mentioned there aren’t many authentic Moroccan restaurants in Sydney. 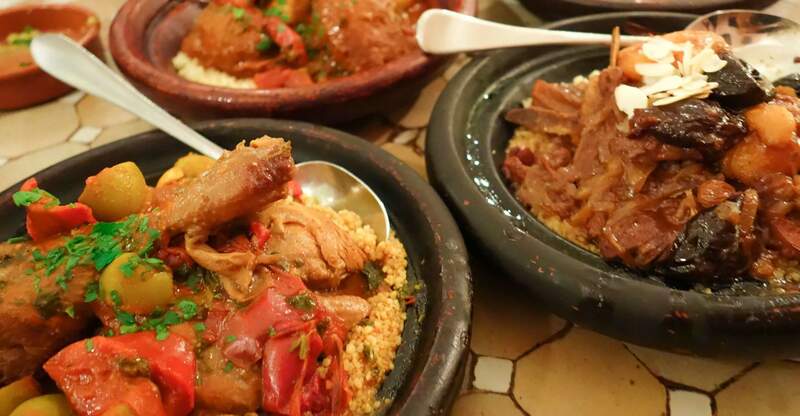 Moroccan feast have two locations, one in Randwick and the other Paddington. On this occasion we return to our old stomping ground of Randwick. Dining with our foodie pals Coffee Brunch Dinner (CBD). 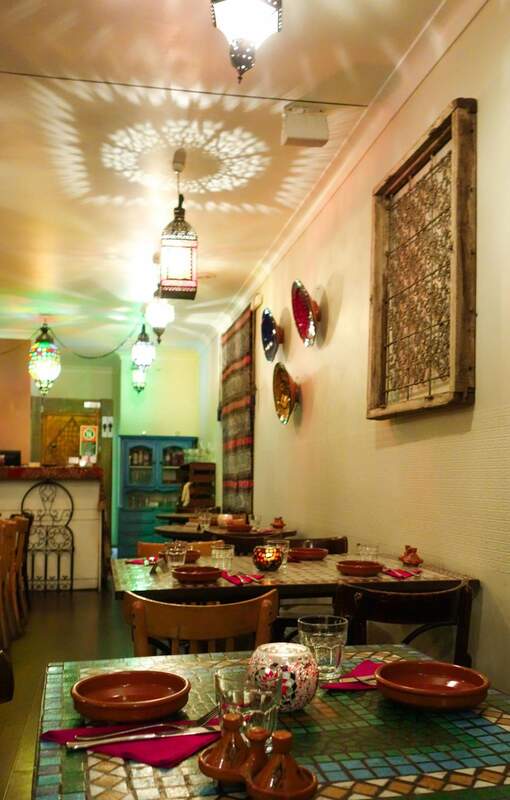 A restaurant with a warm and welcoming feel, it is decorated to theme with Moroccan artwork, lanterns and mosaic tables. The meal began with a nice glass of red and the Agadir Feast which consisted of a galaxy of dips, condiments and bread to whet the apetite. The spread almost taking two tables. You name it, it was on the table. 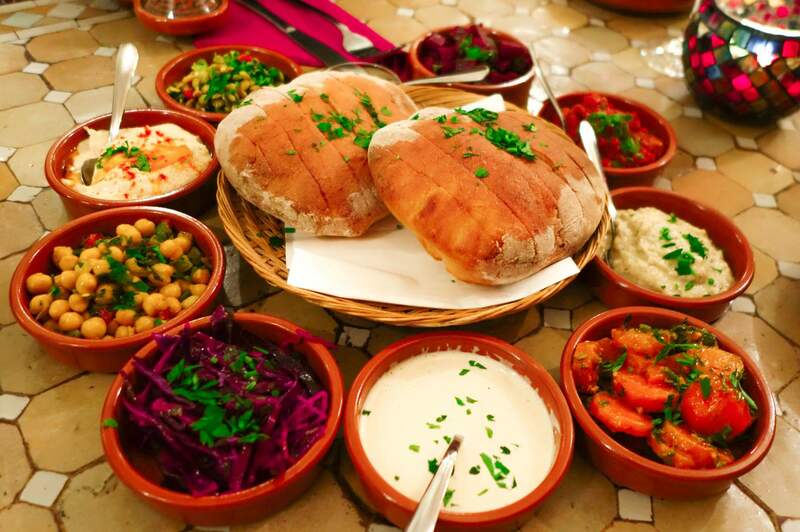 From hommus and baba ganoush and a number of tasty salads. This set the precedent for what was to come, a banquet with generous portions. It is a good thing we came hungry. 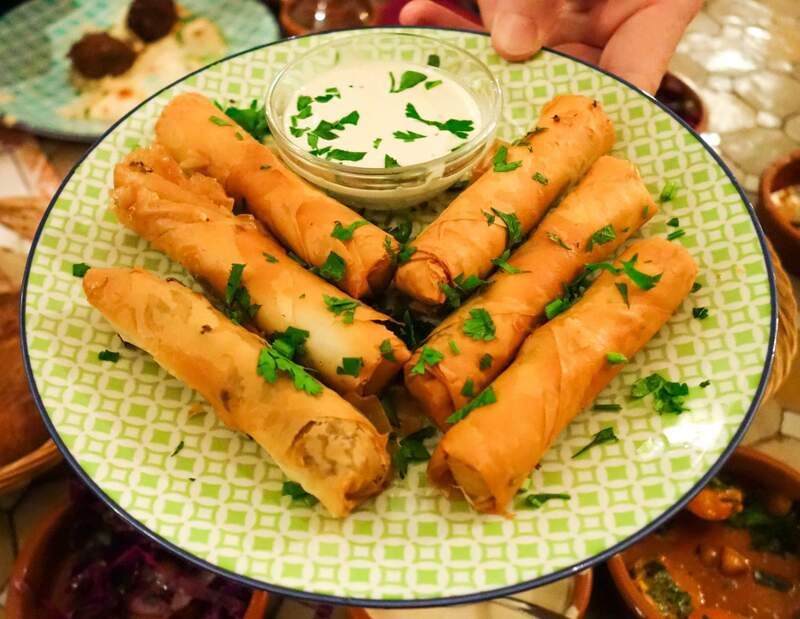 We loved the spicy cigars filled with minced beef and tahini, a Moroccan version of a spring roll. We were most looking forward to the tagines and were not disappointed. 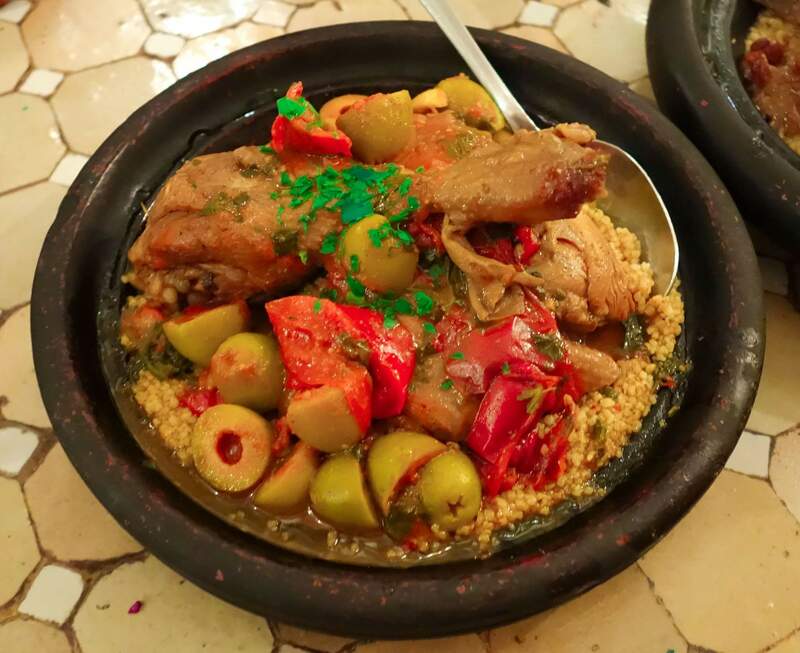 The tagine is probably the single most notable Moroccan dish, a cone shaped earthenware pot which is used to slow cook, providing a rich flavorful meal. The lamb tagine was the standout the meat, so tender it fell apart at the sight of a fork. This was a beautifully fragrant with sweetness and spice from the prunes, apricot, caramelized onions and cinnamon. The Marrakesh chicken tagine, had more of a savoury flavour. Again the meat very tender falling off the bone, with nice spice and served cooked green olives. Finished off the with hot drinks and sweets. We suggest you order a thick brewed Moroccan coffee or traditional mint tea, a perfect counter to a sweet dessert. 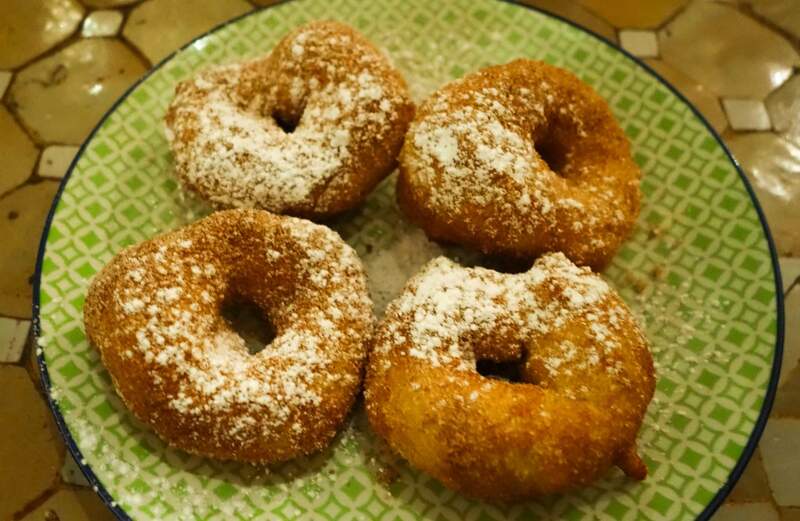 Maybe the sfinj too, which is a serve of mini Moroccan cinnamon doughnuts. These are not to be missed. 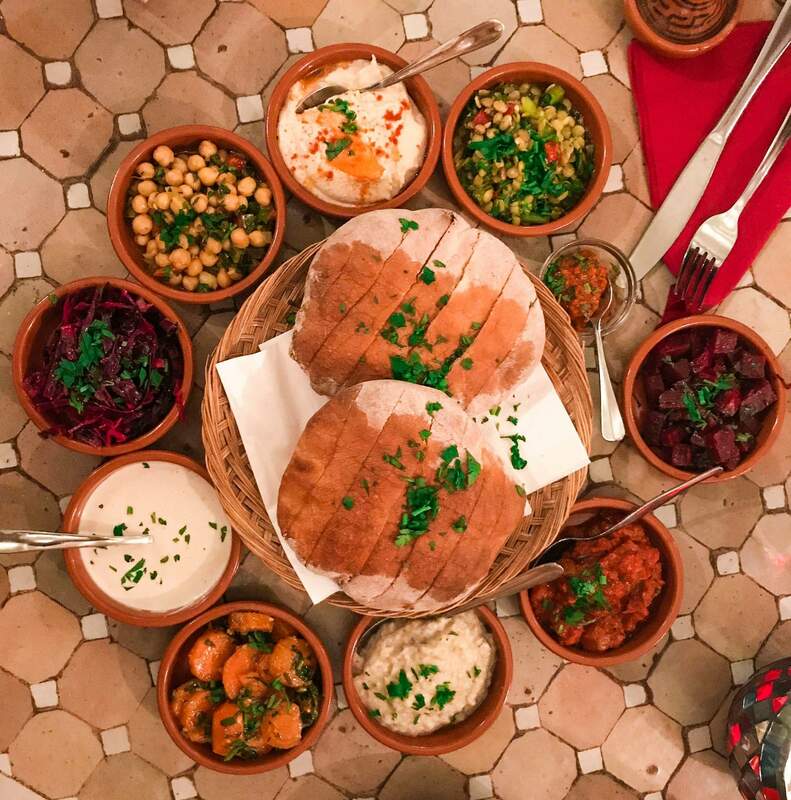 Moroccan Feast is a warm, friendly local gem, serving traditional North African recipes passed down through the family. 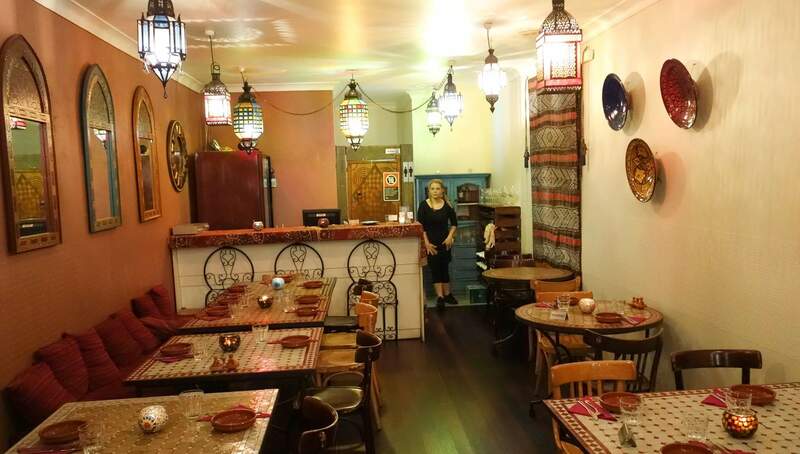 One of few restaurants in Sydney serving authentic Moroccan cuisine and as the name suggests, you will be in for a feast. 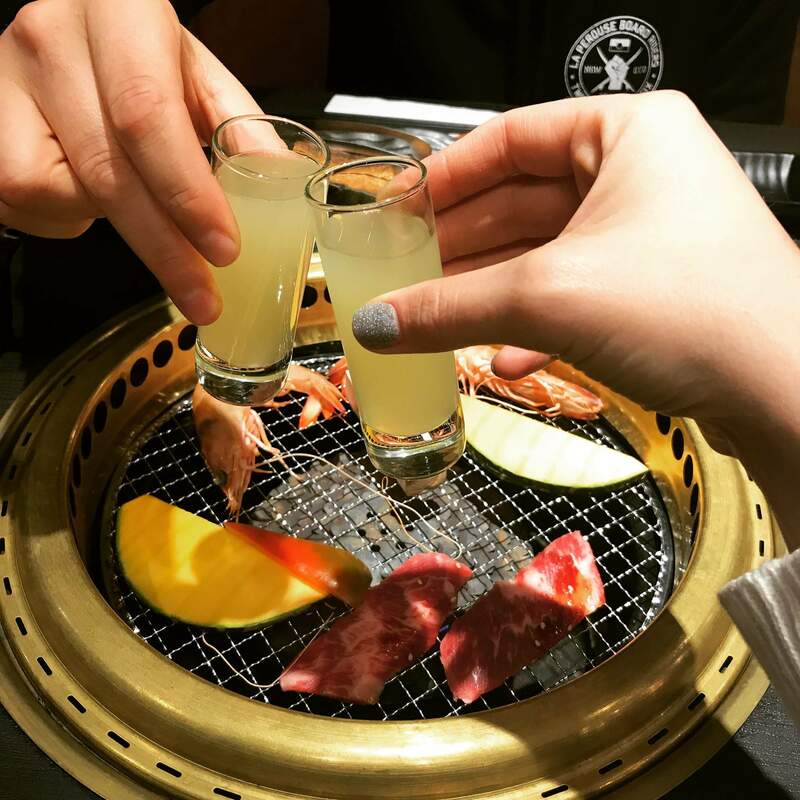 We love anything Japanese and especially enjoy Yuzu Sake. We were thankfully introduced to Satoshi (Sato) Yoshikubo who is the General manager and Sake Sommelier, who helps to educate everyone on the amazing drink that is sake. Sato’s family have a history of producing amazing Sake. 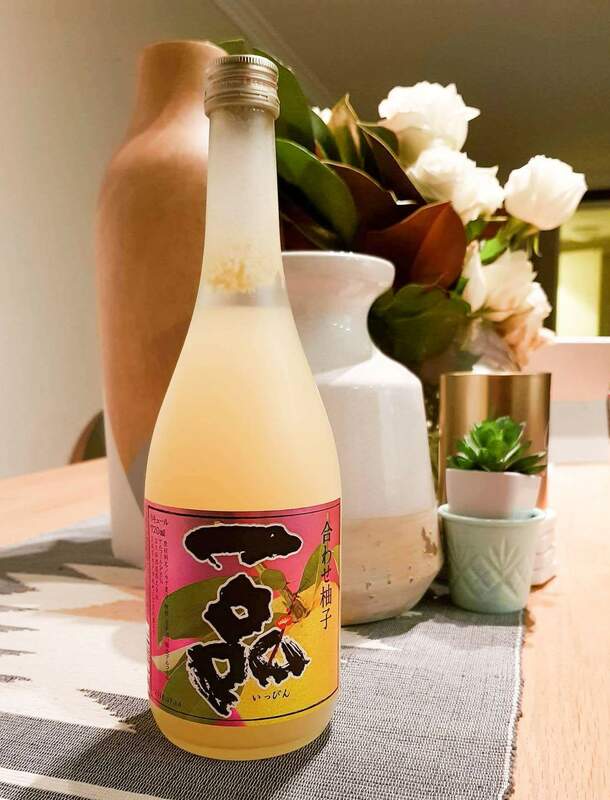 Their brand: Sake Ippin “One & Only” won the SFIWC 2014/2015 Duble Gold Prize USA, the National New Sake Awards Gold Prize Japan and this award winning product is worth the accolades. The IPPIN Sake is produced at the Yoshikubo Sake Brewery Co and is in Ibaraki Prefecture, Japan. Originating in 1790 and continued through 12 generations of brewers. 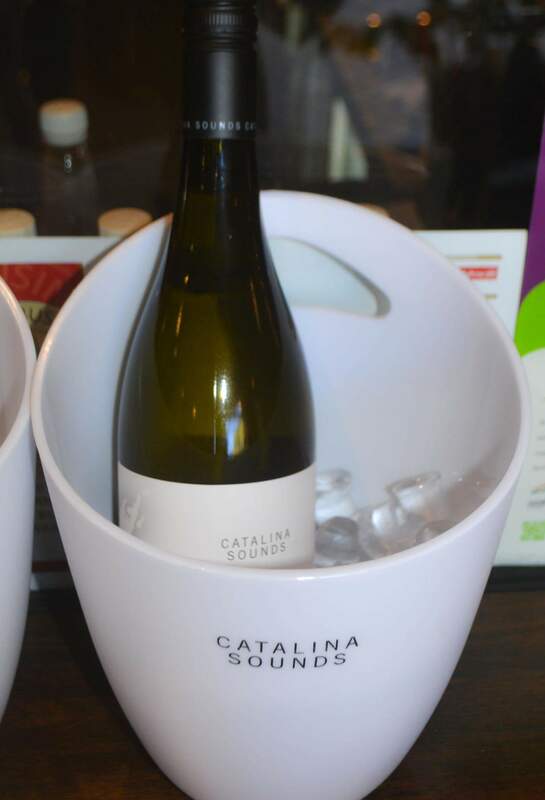 Their products are imported through JFC Australia and can be purchased at many liquor outlets and restaurants. We have it on good knowledge that it can be purchased at Mascot Liquor. 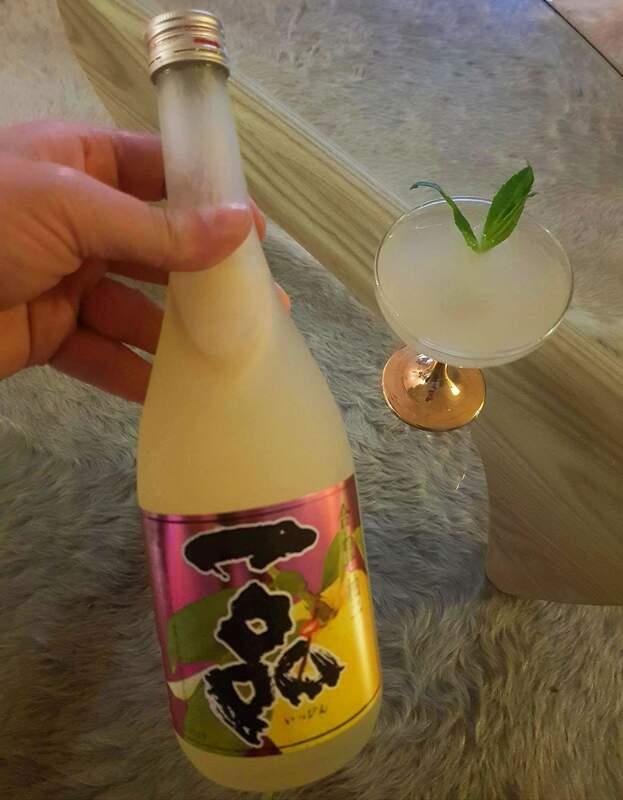 We tried the ‘Japanese Limon-cello’, called MITO UME-SHU TWO KIND OF YUZU WINE, 8% alcohol. 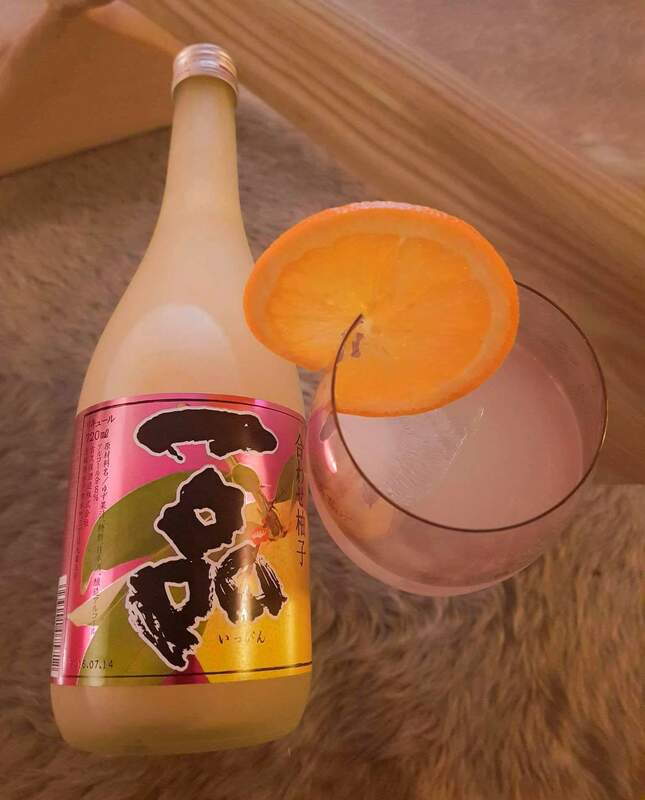 It is sake with two types of Yuzu which gives the sake an infusion of sweet and citrus flavours. 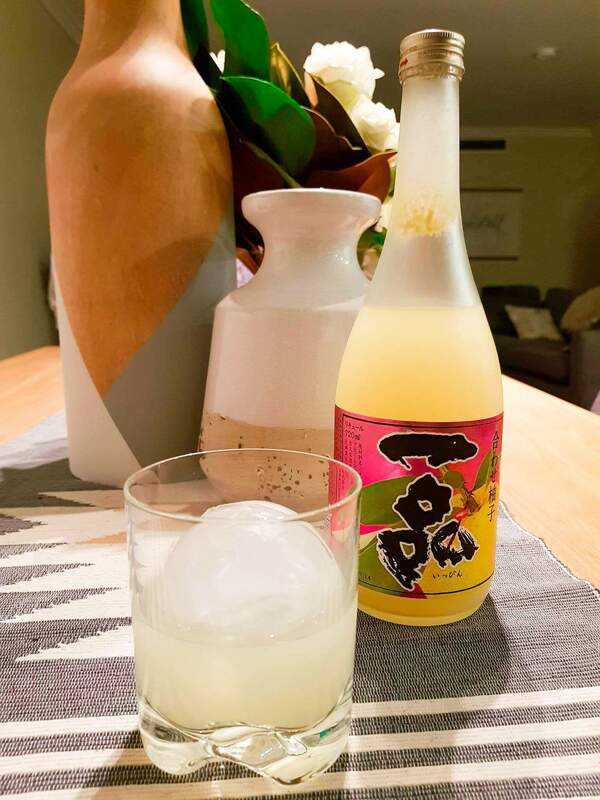 The Yuzu Sake can be enjoyed neat or simply with ice, sipping and savouring the flavour. The Yuzu Sake is also nice with a little Sparkling water and ice, a refreshing drink on a hot day. A versitile drink, also great for a toast and a quick shot. Thank you to Satoshi for providing us with the Sake and to Yuri from Washuko Lovers for liaising. It is already established that we love eating all the time, as our name suggests. We also love drinking and Sarah loves shopping. 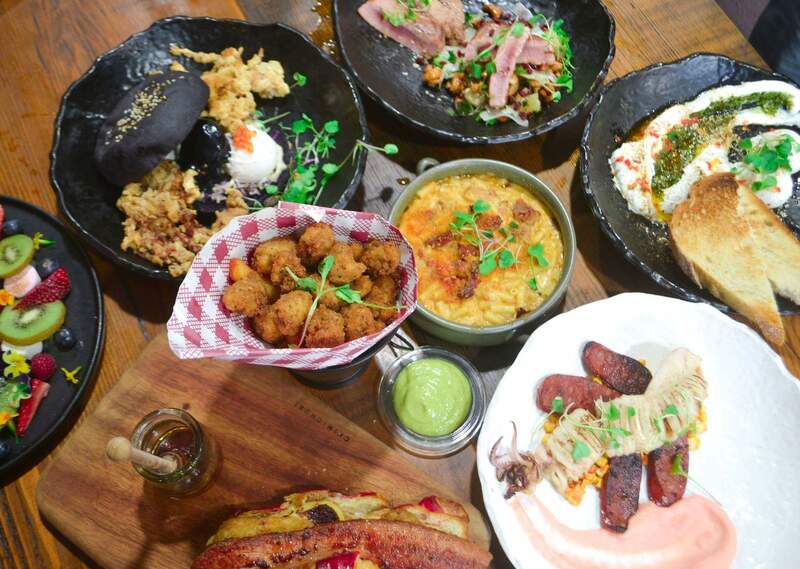 With all these things in mind, we couldn’t go past heading to Westfield Hornsby for a long lunch, aptly named “Eat.Drink.Wesfield”. 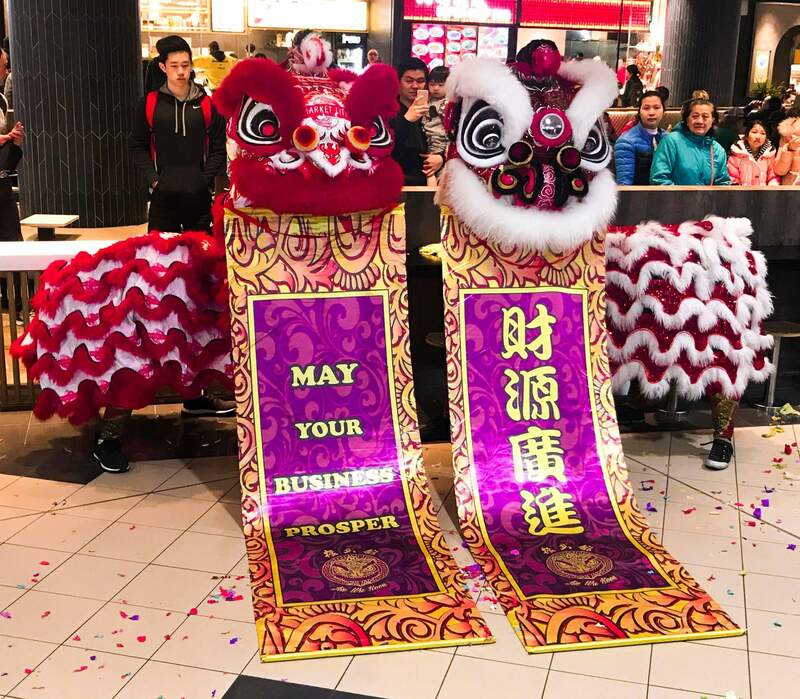 With Westfield shopping centres offering a variety of events under this banner over the weekend of August 5-6, the event at Hornsby had diners experiencing a leisurely three course meal with an Asian theme, highlighting the best of Westfield Hornsby‘s Asian dining scene. 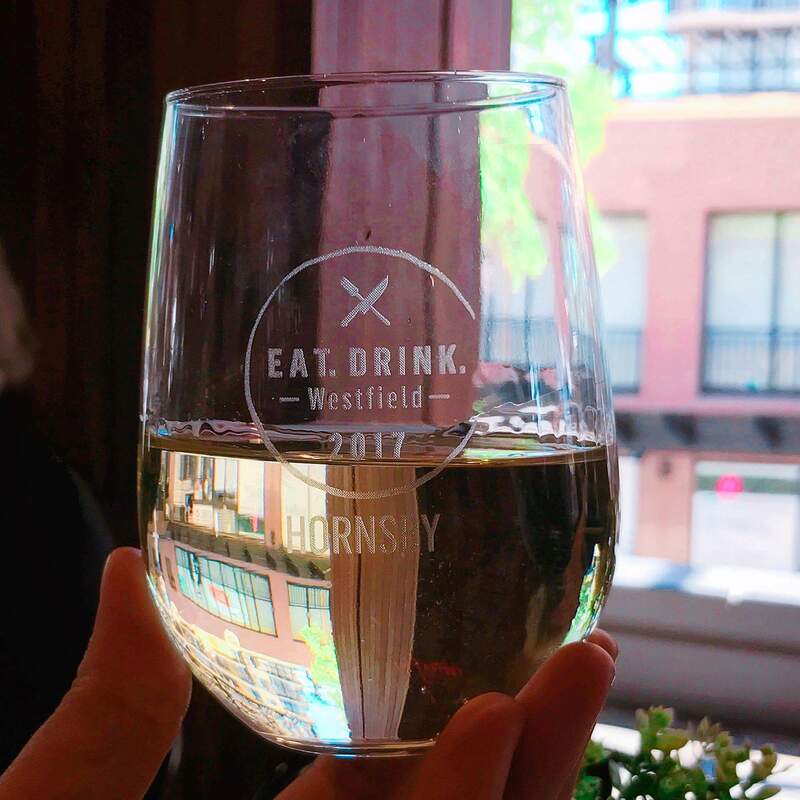 The event was great value; for $45, you received a three-course lunch of epic proportions and a glass of wine. On arrival, we were greeted by the wait staff and seated at a beautifully laid long table in front of Infuzions restaurant. 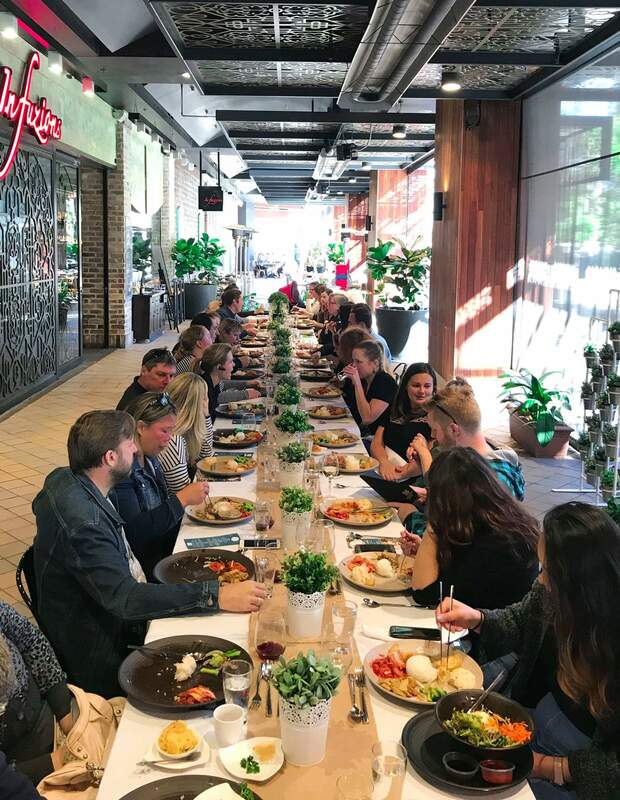 The long lunch table made this a great event to meet new people and enjoy the signature dishes from three of Westfield Hornsby‘s restaurants, in the one sitting. The meal started on a high and continued from there. We were served a mixed dumpling basket, a cigar vegetable spring roll and a cool pan-fried vegetable bun that looked like a hedgehog. All of these delights were provided by Yum Cha restaurant, Joyful House. 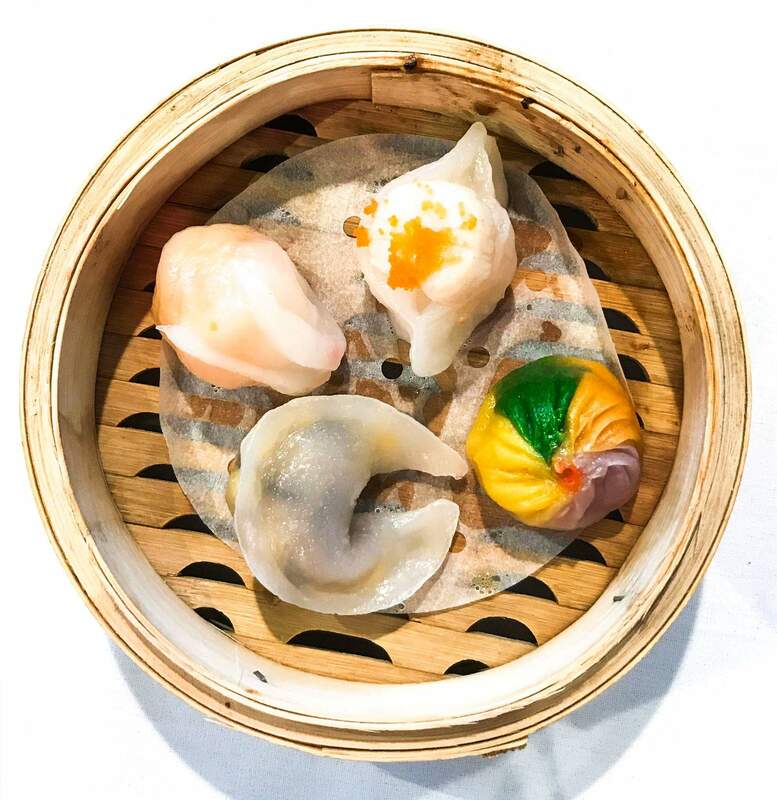 Some tasty little jewels – the dumplings were nicely presented in a bamboo steamer with a pop of colour from the roe and rainbow dumpling. 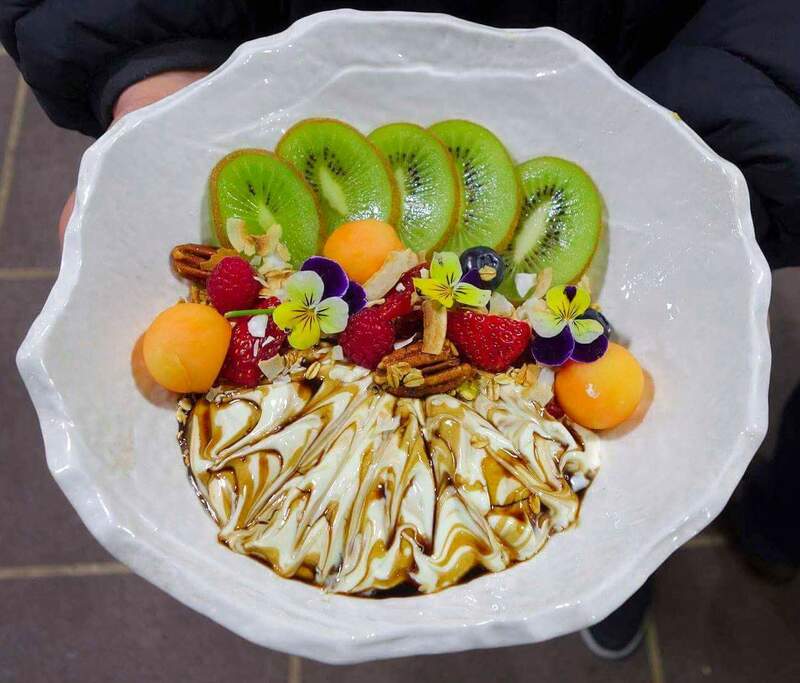 Perfect for a bite to eat and enjoy whilst taking a break from browsing the shops at Westfield Hornsby. Kangnam Korean BBQ and was served on one of the biggest plates I have ever seen. The portions were equal to the size of the plate! There were alternate servings of Bulgogi beef and spicy sizzling pork (that was not too spicy). 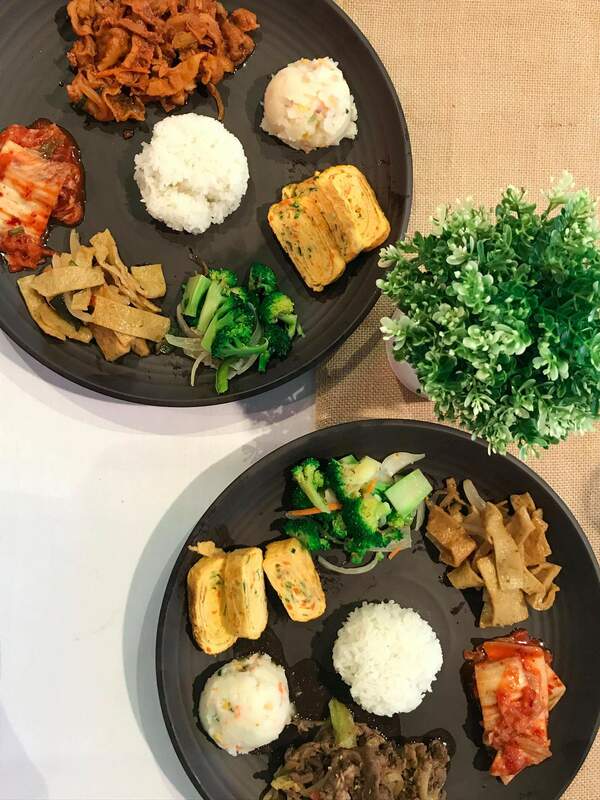 Each plate had an impressive range of tasty Korean sides, including mixed vegetables with special soy sauce, kimchi, potato salad and rice. 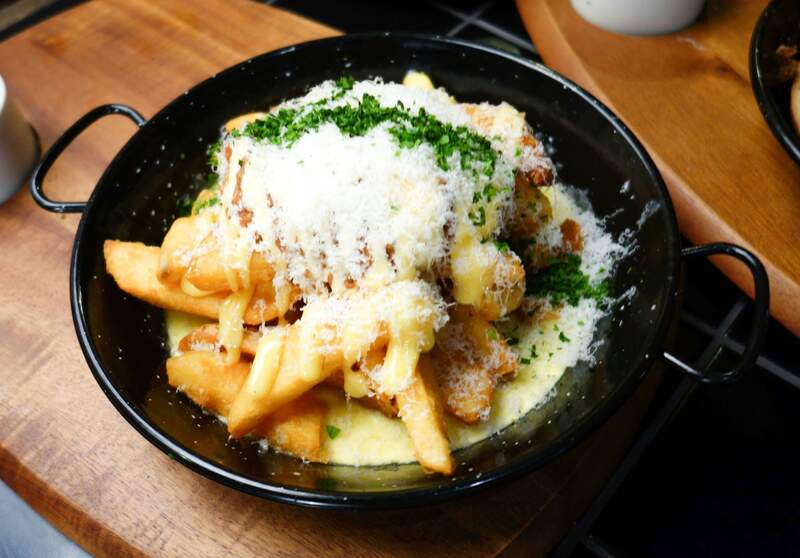 This will give you an excuse to burn off the meal, by checking out all that Westfield Hornsby has to offer afterwards. For the finale, some amazingly theatrical, and delicious desserts were provided by Infuzions. The suitably named “Ain’t No Mountain High Enough” was a Bombe Alaska that literally included a mountain of vanilla ice cream, with visible vanilla bean, covered in soft meringue, flambet with Grand Marnier® and sprinkled with lemon crumbs. As there were two of us we got an alternate serve. The other dessert “A Love Affair In Paris” was a true spectacle. 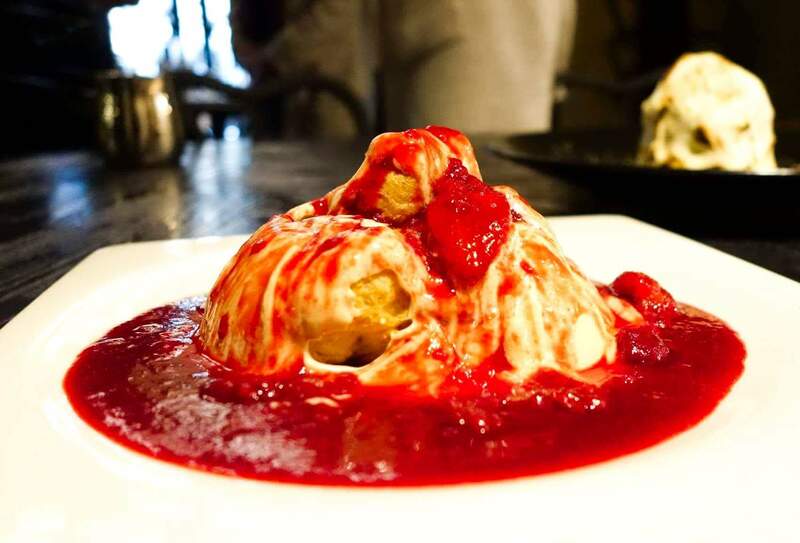 This dessert arrived at the table as a hovering white chocolate dome, a hot bittersweet berry compote poured over the top. The dome slowly melted away to reveal a fluffy sponge filled with a decadent chocolate and custard cream. These desserts would be a well-earned treat, especially after a hard day of shopping. A fun luncheon, with generous portions and great service. A well organised and run event by the staff of Westfield Hornsby. Keep an eye out for upcoming events on their website below. 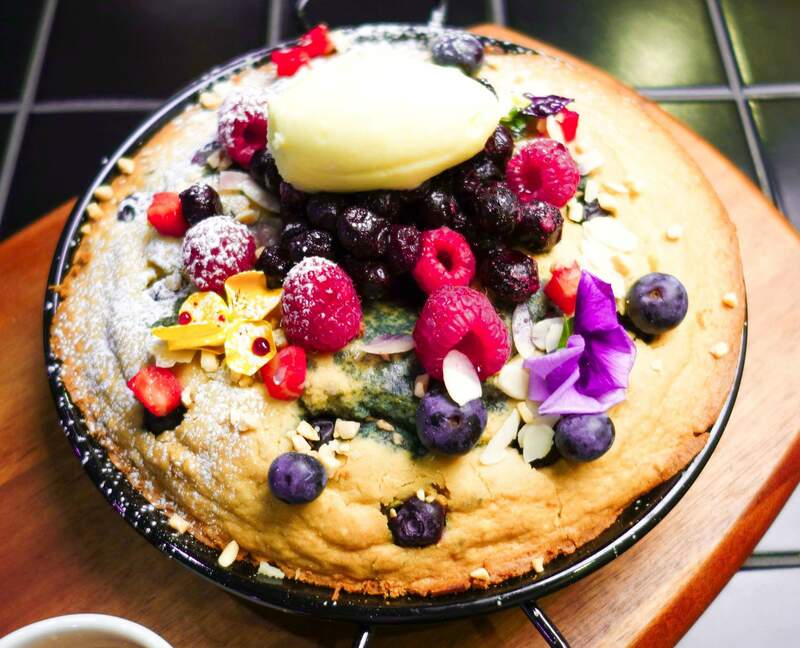 ​Chimichuri cafè in Chatswood is the most instagrammable cafès we have come across. 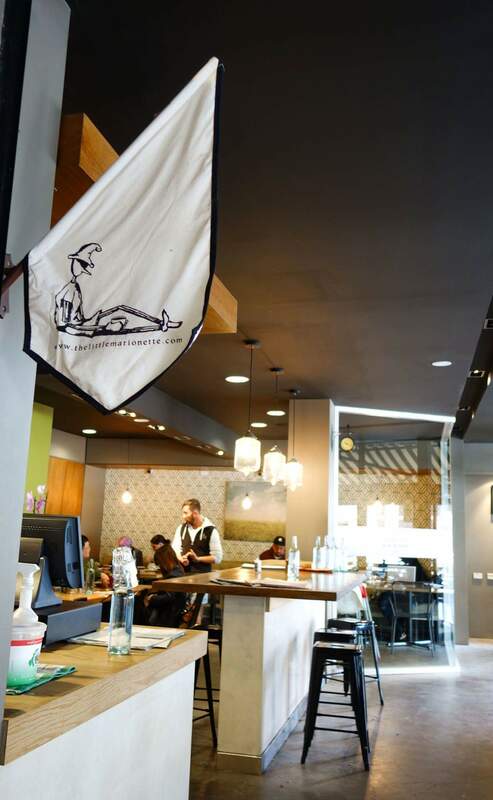 The owners, previously of Local Embassy in Pyrmont have brought their game to the north. The cafè is hidden in the back streets but despite this, the cafe is very popular, which shows their food is bringing in a crowd. The cafe has a cool set up, with a number of indoor and outdoor tables, there are also a couple of communal tables. 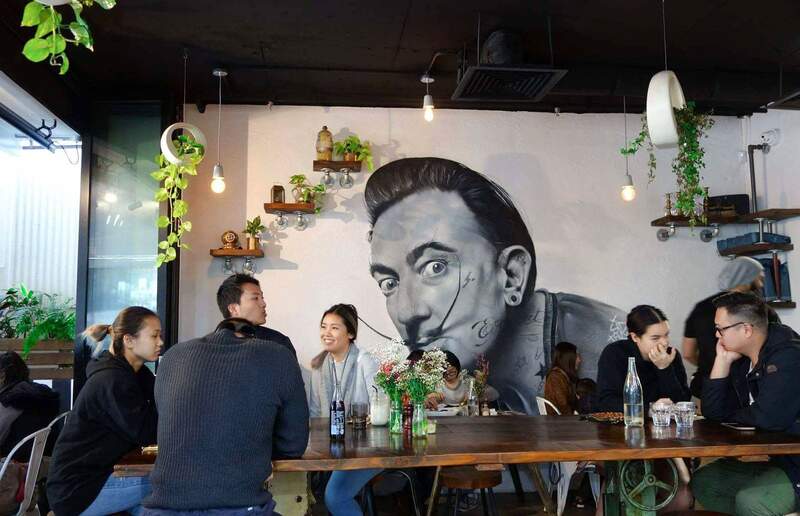 As you walk in there is a large mural painted on the wall of an interesting character, with a tweaked moustache which is a reflection of the interesting and quirky menu on offer. 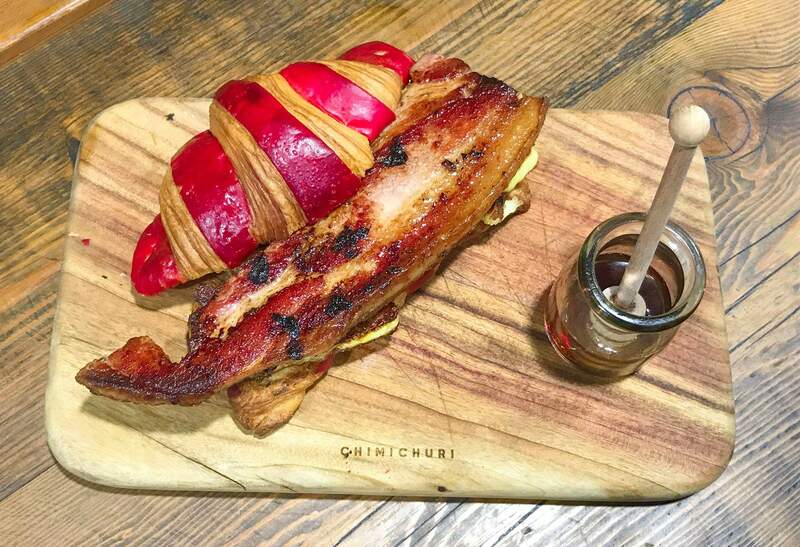 We first visited Chimi Churi after spotting their red vevet latte on Instagram and jumped at the opportunity when invited by Danny from Qtix to return. We visited with some of our insta friends Ryan La and Lilo Peng as well as Sarah from RnB Diaries and Dion Woo. 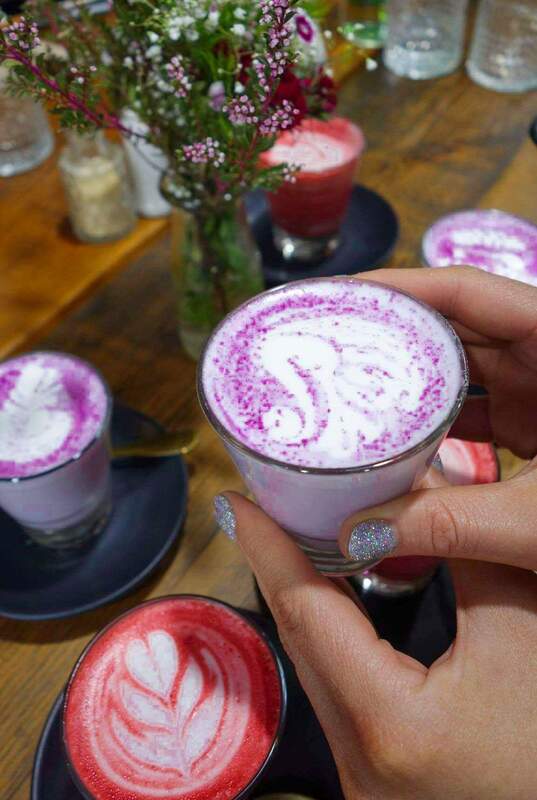 We started with a number of coffees, taro and red velvet lattes. Then, a range of visually appealing plates started to arrive at the table for us to photograph and share. 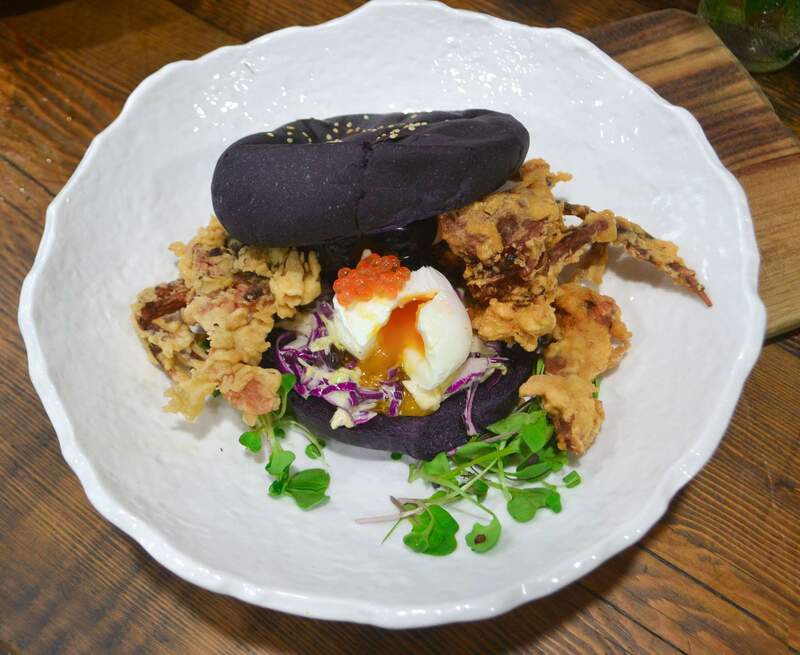 The signature being the black benedict which is a soft shell crab burger with squid ink hollandaise. The bun, a black brioche which gets its colour from charcoal. 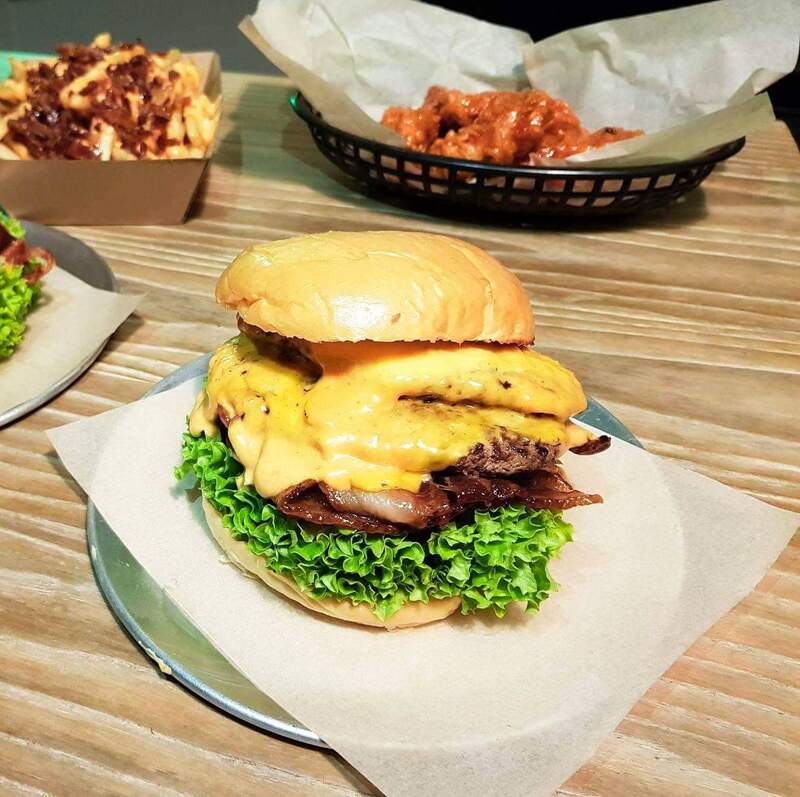 This dish is not only visually appealing, but also very tasty and unlike any burger we have tried before. For bacon lovers the ‘lick my bacon’ is right up your alley. A thick cut bacon steak, cue Homer Simpson drooling mmmmm bacon. This served on a freshly baked red striped croissant with a has brown and haloumi and a side 100% Canadian Maple Syrup. Need I say more? Other notable breakfast options were the Chimi Churi eggs. Poached eggs, labneh, chilli oil, Chimichuri dukkah sauce and freshly baked artisan bread. Keep an eye out for the Cola Bowl which will be a new addition to the menu. A tasty yogurt bowl served with toasted granola, fruit and for a bit of a twist a cola syrup drizzled on top. The lunch menu may not be as grammable, but tasty and had some healthy options available. The stuffed calamari with a bit of South American flair. This dish with a nice flavour combination of chicken mince, chorizo, chimichuri salsa with a tasty parsnip and beetroot cream. 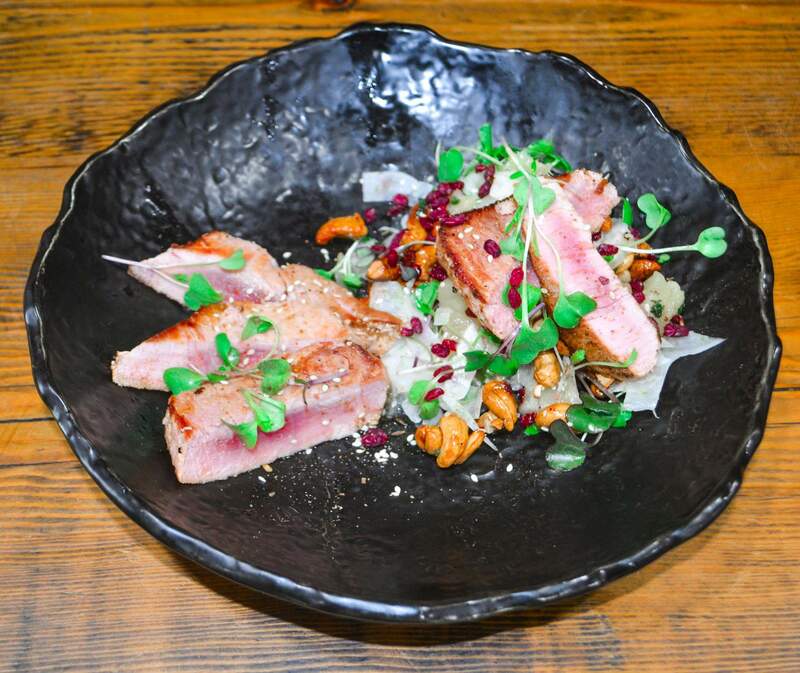 The seared tuna, another healthy option served with a pineapple salsa and nicely plated too. The lunch menu is not at all healthy, with Chimi Churi doing a decent mac and cheese with triple cheese pork and bacon. The fried chicken bites were also very more-ish and the seasoned chips that came with the chicken, unbelievably tasty. They also have some great options for those with a sweet tooth. The nutella french toast, nice and fluffy with fairy floss a mini jar of nutella and served with some fresh fruit. The pannacotta another beautifully plated dish, very photogenic. 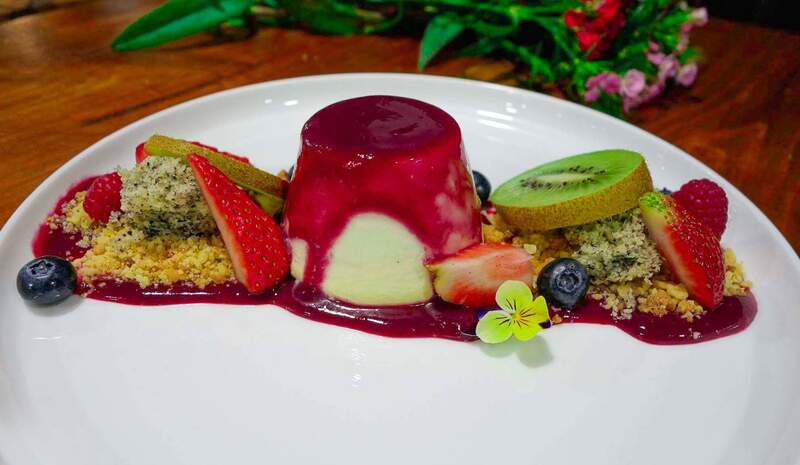 A nice sweet finish a textural dish with the smoothness of the pannacotta, the macadamia crumb, a airy sponge, sauced with the berry coulis. As mentioned one of the most grammable cafes we have been to. The owners are perfectionists and the menu is well balanced with something for everyone. The food is not only very photogenic, the food is also tasty. 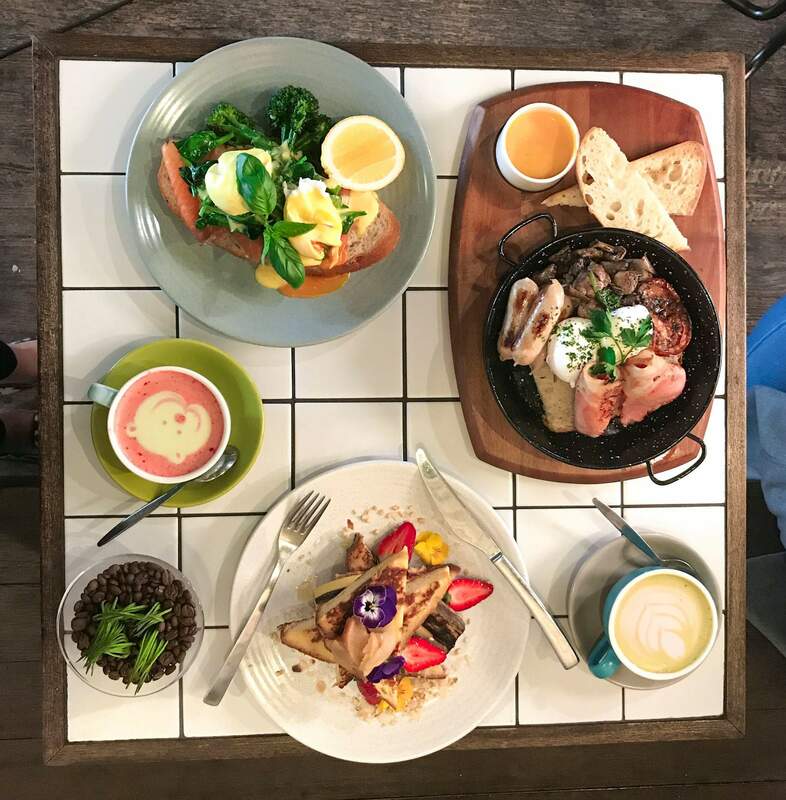 Worth travelling to Chatswood to try some cool dishes and to get some great shots for your instagram feed.